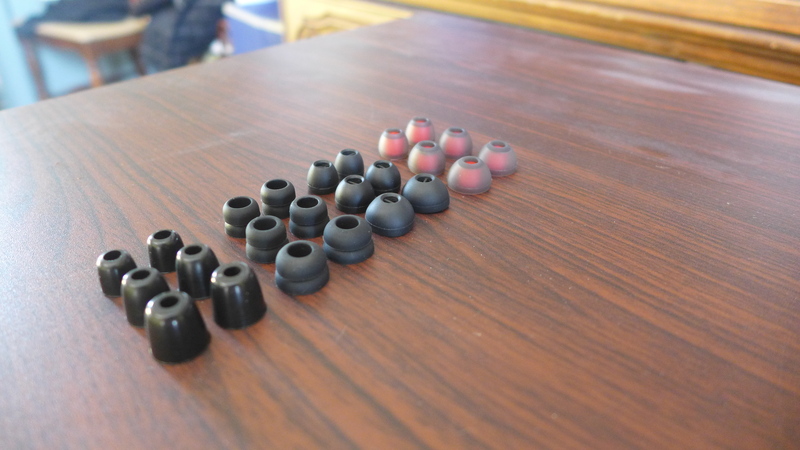 My friend @Krisman is on a quest to find the perfect IEM. 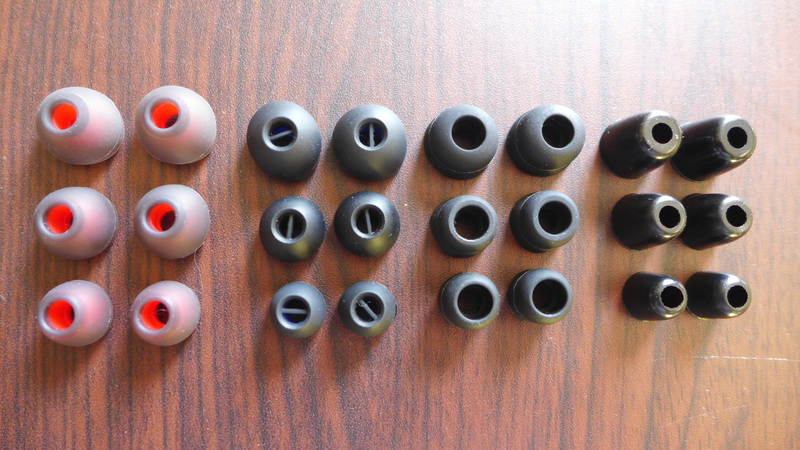 During this exhaustive search , he bought a beautiful pair of Noble Audio Savants. 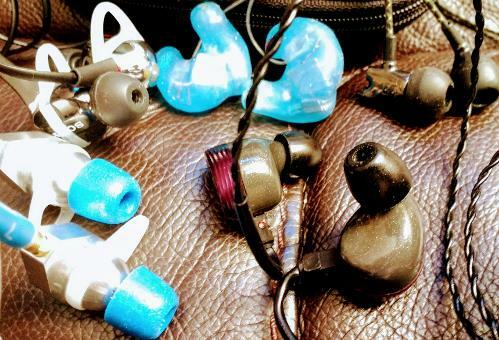 The Noble Audio Savants are Universal In Ear Monitors. The Noble website offers very little info on these , but does have some pretty gorgeous ones on offer for £599. 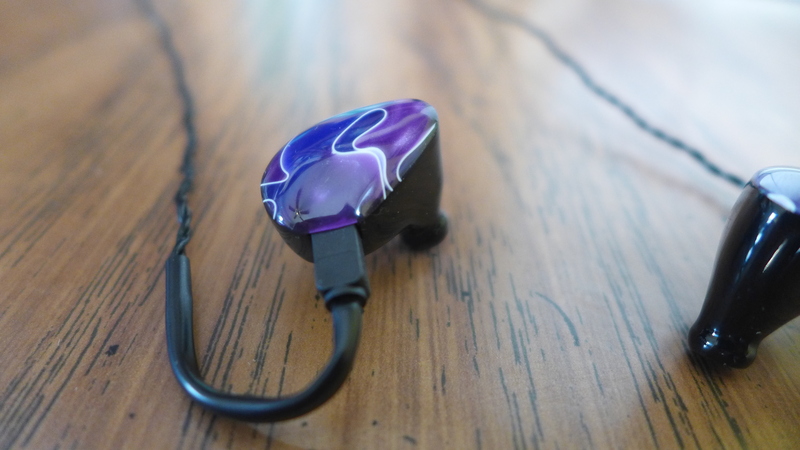 The Savant has a detachable cable design with a Westone style 2 pin connector. There is a red and blue colour coding to show which driver goes in which ear. Memory wire helps to lock the ft into place. 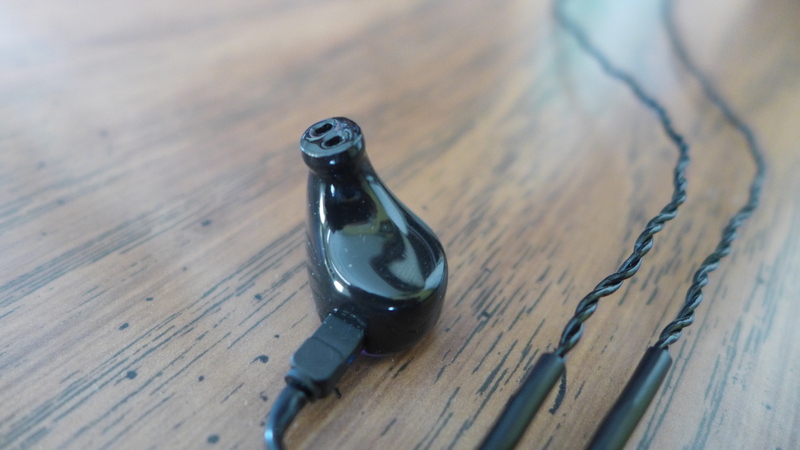 There is a clear plastic tube after the Y connector to pull the cables under the chin or up around the shoulders dependent on your preferred fit.The cable is a twisted braid style with no mic attachment. 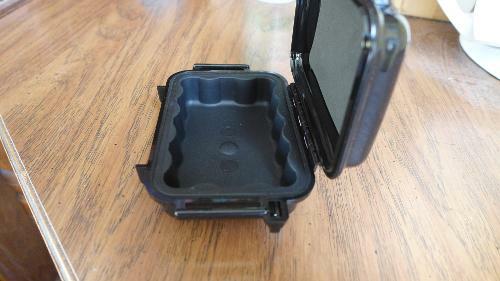 There is sheafing by the jack plug and the plug itself has a straight bottom and a rounded top. Here is the bit where I talk about everything from looks to microphonics to isolation ; all the stuff that we need to know to see whether we headfiers can live with this for a long time to avoid the on sale items being even more clogged up. 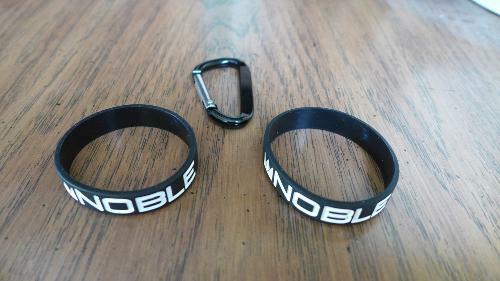 Plenty of attention to detail has gone into these as one would expect from Noble. The finish on the ones Kris bought are exquisite. The cable looks quite similar to many designs on the market costing quite a lot less than these. Nevertheless they look great , are of a strong construction and complement the looks of the Savant nicely. 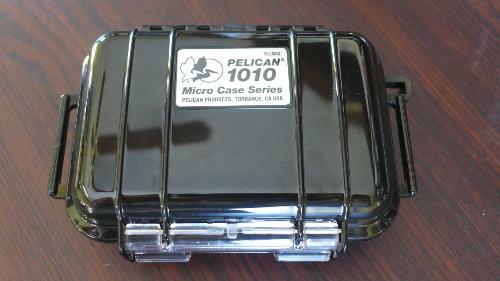 There is a considerable amount of microphonics from the cable . The memory wire and plastic tube pretty much cancel this out. The cable stays tangle free. The driver shape even fits my relatively small ears . I would be surprised if anyone had a problem with these being too big. The fit protrudes out from the ears and there some shuffling around is needed. Once you've hit the sweet spot , you should be there for the entirety of your session. The nozzles are markedly angled. 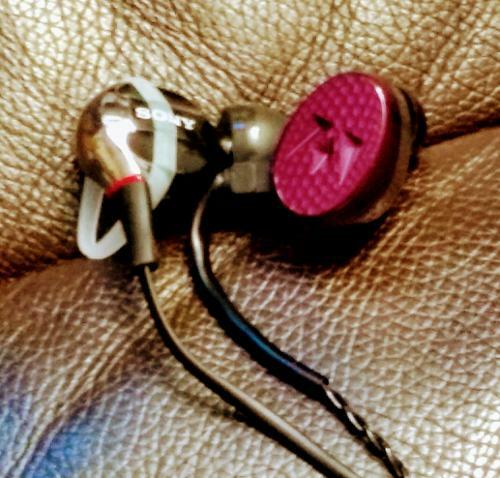 This is usual for In ears this high end of course. 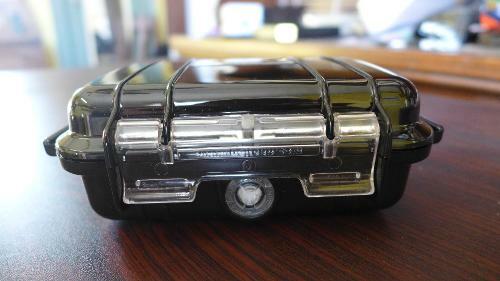 Not all are however , and each manufacturer seems to have variations in the angles they put in. Isolation is pretty good - should be tube or bus resistant but certainly they won't be tube proof. 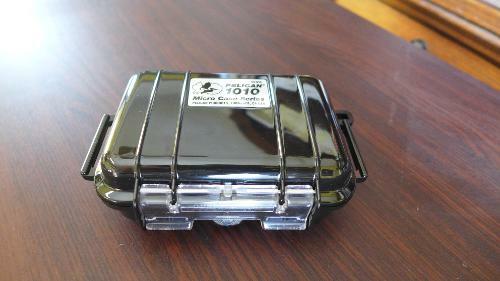 You will still hear road noise and rumbling noise if you take these out and about. Comfort is great - I had no issues wearing these for hours and hours , they fit well around the ears , there is nothing pressing where it shouldn't be and as light as the design is , the top of the ear supports what little there is. I have a few IEMs meself , not necessarily because I am in search of the perfect IEM. I just seem to love buying them and I can never get enough. Anyone else have this strange obsession? I have gone through most sensible layers of the market , from £10 to £600. These are the higher end of the price scale ; the big hitters. 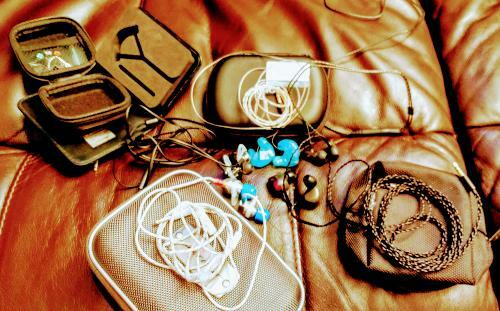 The 4 suspects above are from left to right - Sony XBA4ip , Sennheiser IE800 , ACS ENcore Studio Pro and Noble Audio Savant IEMs. Another one was added at a later stage. Showing the magic that lies therein and revealing very little about which one is the more costly ; the fighters take their towels off prior to flexing their muscles. 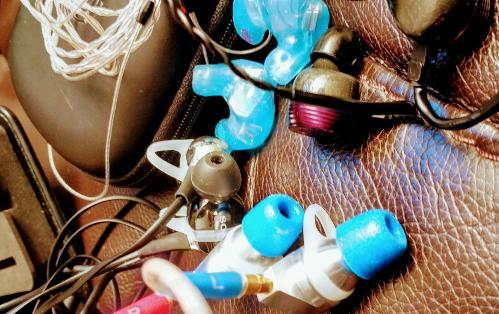 All IEMs tested work perfectly well through a smartphone. I plugged each into my Motorola Moto G4 and hot swapped as quickly as efficiency would allow. Each hot swap had a Noble Savant listen after it. After all , I own the other IEMs so the Savants deserved as much of a chance as they could get. I guessed that they were likely to be at a disadvantage because they were the newcomers. All of my test music is available on YouTube. You will hear it exactly as I heard it by clicking on the videos supplied. They are all Vinyl recordings.Most are not exactly recent - I was in my 20s when most of these were made. 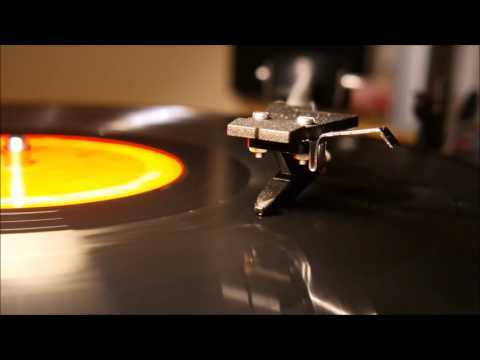 All the vinyl recordings have been prepared with great care , on great equipment. 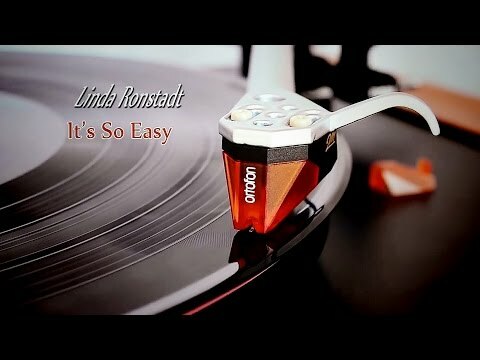 I am not saying that Vinyl is better than a CD but a click or 2 will give you an interesting experience whatever your opinion. The 2nd test was done using my Macbook Pro Retina and the Chord Mojo. Hot swapping was even even easier using this method as 2 IEMs can be plugged in at the same time. With many thanks to YouTube and all those who take the time to showcase some amazing kit my test takes very little time to set up. Yes,there is the odd crackle. 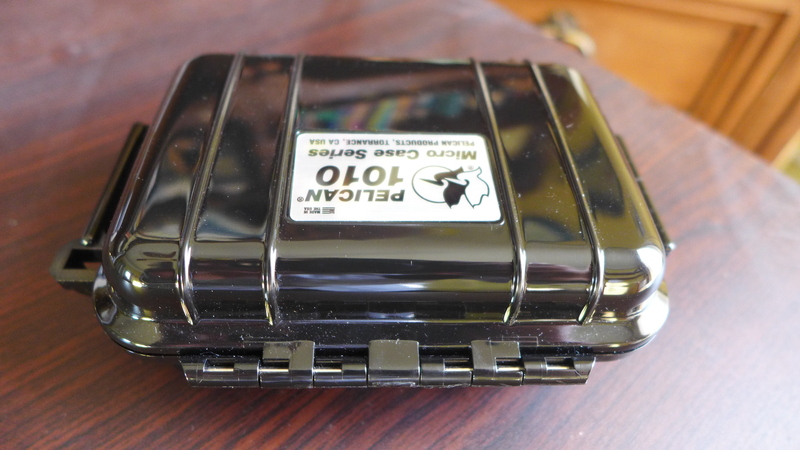 One of the tracks is even recorded using an external mic. That one is perhaps the most interesting listen of them all. So here we have a mixture of Full Orchestra to Prog Rock to Disco. Plenty of genres to test bass mids highs soundstage and detail. The focus of my attention here. I have been listening to these for a number of hours by now. So , after this listening, this is what my ears can tell you about their Sound Signature. The Savants have a punchy forward sound. By this I mean that I feel when I listen to them that is sounds like someone has a Graphic Equaliser and has pushed the sliders in the middle ranges up a notch or 2. I find it quite hard to follow a vocal , to remember the words of a song. I put this down to recording techniques which are so sophisticated they flood the brain with so many different things happening at the same time. Forward mids therefore can be a godsend to me . 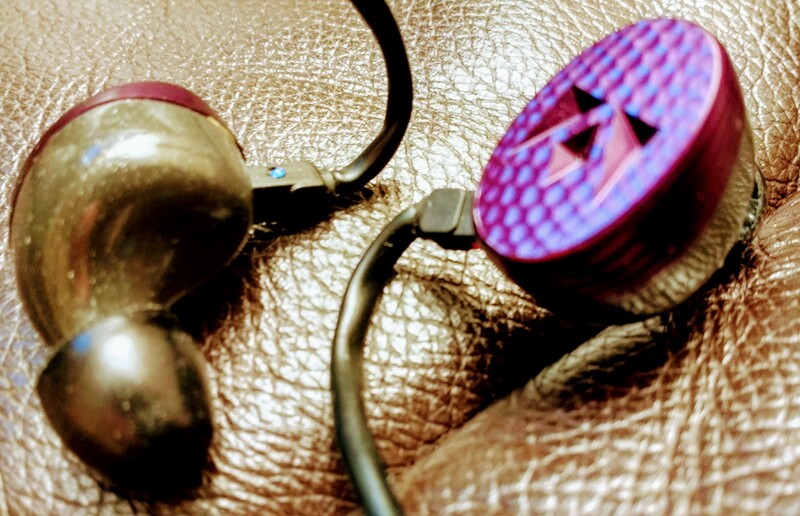 The Noble Savants deliver a beautiful mid presentation and I find they are one of the easier headphones I have yet heard to follow a vocal track on. Particularly on the Chord Mojo , where there was more refinement present than through my Smartphone, the mids were not fatiguing. Extended serious listening through my smartphone - yes , the Savants just became too much after a while. But whilst commuting , this trait was not present . The Savants were able to push themselves to the forefront and made a long trip seem much shorter. There was a midbass warmth , even on Classical tracks and this is something I love too. I like a sound signature that has a nice soft glow to it. There was little visceral kick in the bass , but I found the low end was linear enough to suit my tastes. The high end resolution of the Savants was only very slightly rolled off in my opinion. There was a feeling, less so with the Mojo , that the soundstage was being artificially stretched if felt like the Savants were a little lacking in the high end. This was my first proper evaluation of the Noble Audio Brand. I was extremely impressed. I tell you - the first time I put them on , I had one of those moments. My jaw dropped , I could not believe how good they sounded from my Moto G4! I'm sure you are all aware by now that first impressions must be judged against the test of time - which is why the Supertest may find flaws I overlooked due to new toy syndrome. I have had some of my other IEMs for over 3 years. The fact they haven't been on Ebay or Headfi for sale forums testifies that I rate them highly. Could the Savants prove themselves amongst my favourites? The XBA4ip has a lot going for it. I got it for a bargain. It has 4 drivers. It has a tangle free free cable. It has the best phone mic of any of my IEMs. Six months ago I found out how to get the drivers to stay in my ears using a simple soft plastic wing and a hollow silicon tip. They are now performing at their best. Before this I thought they were a pretty good match for almost any Universal I had heard up to then. The Sony's excel in their linearity ; they feel like they're trying to accurately portray the music rather than putting their own stamp on it. Hot swapping with the Savants revealed a steely sound to the Sony's. The signature felt a little too crisp and slightly hollow sounding in the mids. The highs on the Sony's are more prominent than the Noble's. The soundstage on the XBA4 was larger but not by a huge margin. The punch on the bass of the Sony's was certainly faster than the Savant. 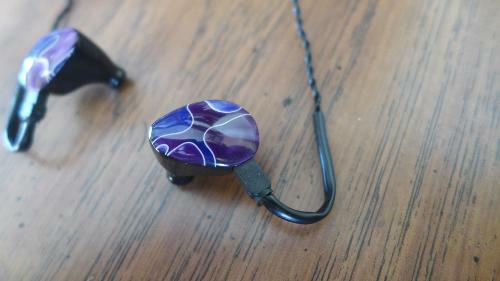 My IEM of choice here for sound quality would be the Savant's , by a large margin. Such a pity that they don't have a mic cable , and now I've got them working properly , the XBA4ips are on and in perfect position in a couple of seconds. The subject of a previous rave review , I still love these. I've had them for 7 months now. My ears pick up on a juicier midbass than I first noticed and perhaps the light airiness I mentioned in my review after so many 100 hours , I might be tempted to change to a slight hollow edge to the mids and uppers range. The treble is a planar magnetic driver. The upper reaches are well catered for in the oBravos , much detail is evident , a bigger soundstage and a more live feel to the music than the Noble Savant has. Overall , perhaps the oBravos might be described as slightly more fatiguing than the Savants. Given the price is £20 less than the Savants currently on offer at Noble's website , the addition of the midbass , the superior soundstage and detail and the mic cable which has no microphonics present - I still prefer my oBravos to the Nobles. The Noble's do not have the bass impact of the IE800s. The detail in the mids is superior from the Savants but there is simply more polish finesse and more happening in the mix with the IE800s. There is no fatigue with the Sennheisers , yet they reach further into the frequency range than even the oBravos. The Noble Savants are a class act of that I have no doubt. 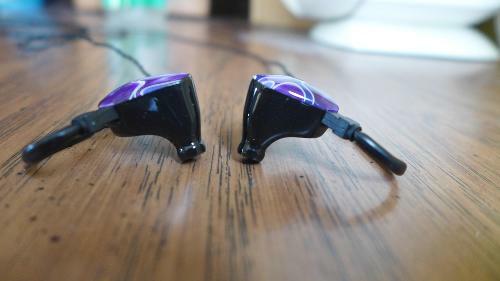 The IE800s are in a class above the Savants in their sound quality. 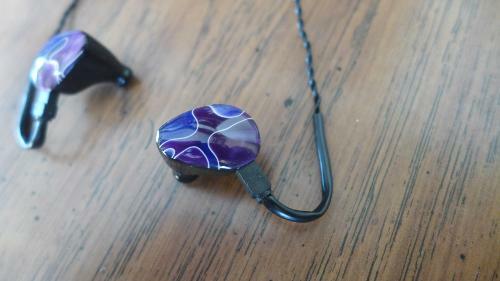 They , for Universal IEMs , in my opinion , are World Class. Universals at the price level of the Savants will come up against low to mid tier priced Customs as competition. A Custom In Ear Monitor has an exact fit , giving amazing isolation and comfort and probably needing much less volume level to drive them. ACS makes 3 Customs - the single driver Evoke, the 3 driver Evolve and my Encore which is a 5 driver 3 way crossover monitor. The signature of the Encore has a bass which hits hard, lots of detail and slightly rolled in the highs, producing an intimate soundstage. The price of the Encore's currently £749 is a little high compared to the Savants. 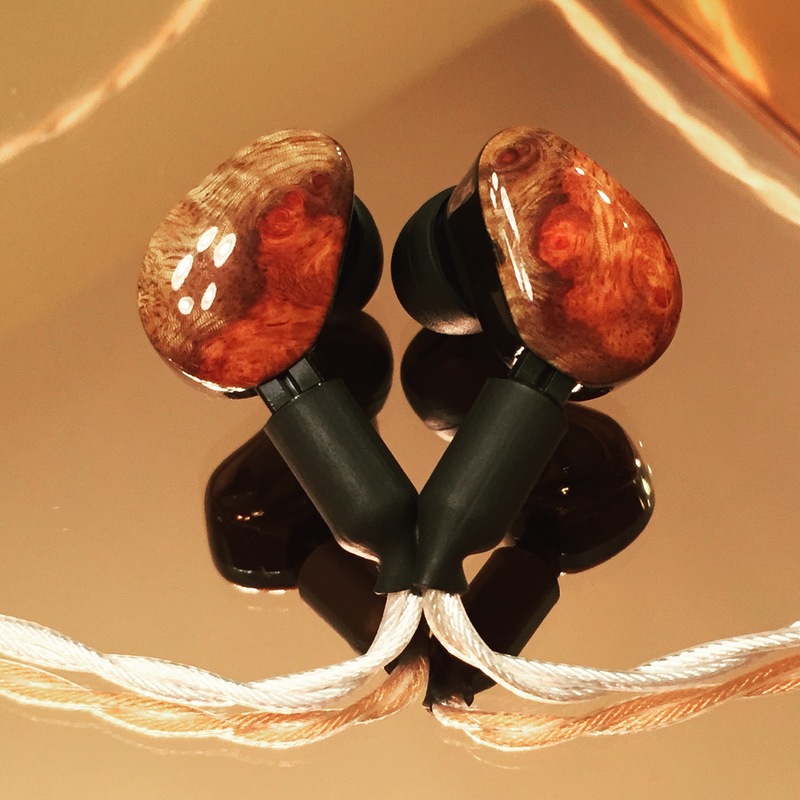 In my opinion if you are prepared to go through an ear impression and the wait for a pair to be custom built to your preference - the Encore's are worth all that extra hassle and that extra money too. The Encore's hit harder , have plenty of detail and put many a full size headphone to shame. 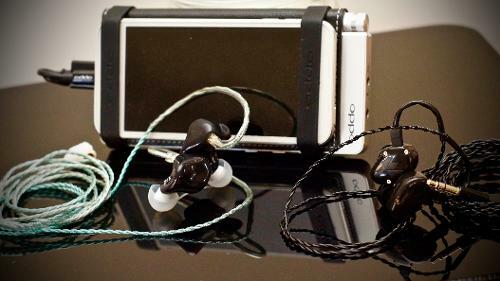 The only IEM I own that can compete with these is the IE800. 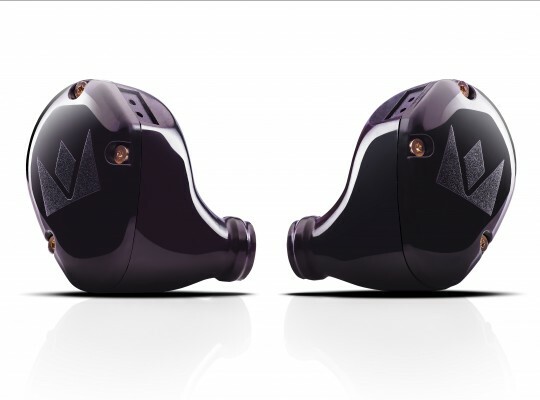 They absolutely wipe the floor with the IE800s in the bass detail and impact. jgosroc, pedalhead, Hawaiibadboy and 1 other person like this. Very nice review. like the style! Good track selections too. Thanks very much guys. It's a labour of love! I think it looks like the Savants have been replaced already and they're just selling the remaining drivers albeit in some really amazing finishes. Things move so fast with most of these companies don't they? Pros - Details, balance sound, great vocals. Cons - A little less punch in the bass, bass can be too quick or abrupt. I am by no means an audiophile just someone that apreciates music. I'm newer to IEM's and have never found one that's just perfect for me yet, but have many headphones I love. The Noble savant's come pretty close, if they were able to gain a little sub bass and not roll off the bass as much, they'd be pretty much perfect. The vocals are clear and transparent and highs are present with detail without becoming overly bright. Overall the savant's are very easy to listen to for long periods with many different music styles, maybe with the exception of anything that is very bass heavy since the savant's are not great with sub bass or extended bass. If I'm in the mood for more bass I use my sennheiser ie80. The savant's have much more refined sound than the ie80's with a more forward, detailed and clear vocals. I'm using my headphones with a grado amp and grado adaptor. For my sound preference my favorite headphone is grado gs1000 with my sennheiser hd800 coming In right behind. The Noble savant's fit very well and are very light in weight compared to the sennheiser ie80 and shure 535. 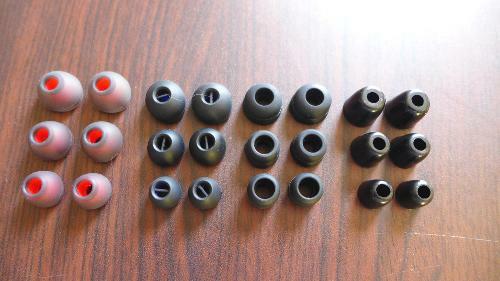 The tips that came with the savant's I found to be unusable, the silicone tips were too soft and not rigid enough to stay in my ear. The supplied foam were either very small sized one or a very large sized one, seems to be missing the medium size. I found the comply foam tips worked best. The Noble savant's I ordered were the wizard edition and they were very nicely made with an interesting plate on them. 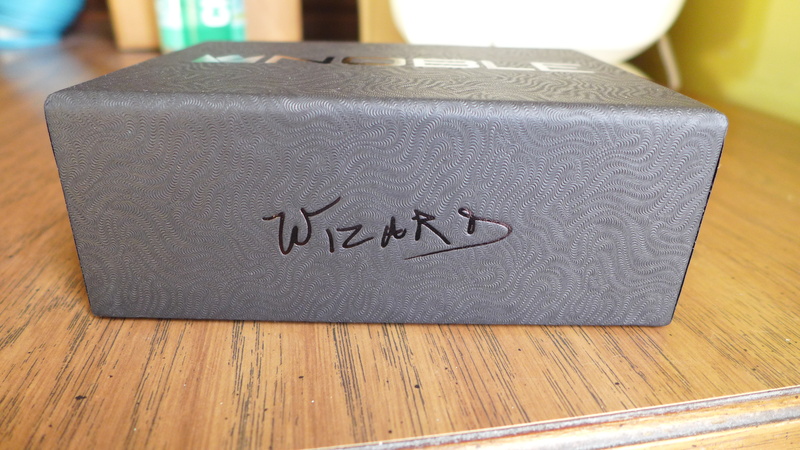 I ordered the Wizards mostly because they were in stock over the aluminum ones, but once I received them I was happy I did, they are incrediblely light weight and their shape is very comfortable. Also stays in place well with a proper fitting tip, this makes for my first IEM that I can listen to for an extended period of time without any ear pain. 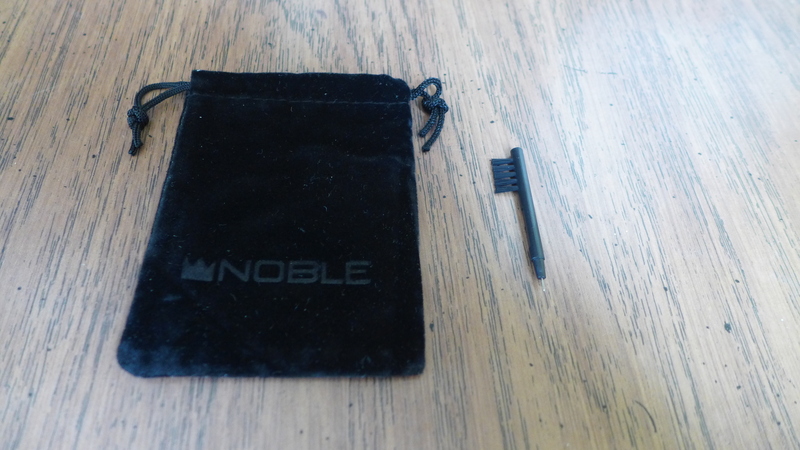 After having these I'm not sure why Noble would switch to a metal exterior unles it's a cost savings, I can't imagine they are nearly as light or comfortable after trying other metal IEM's. I'm planning on trying out some other cables in the future to hopefully gain a little bass without losing their great details and vocals, any suggestions? Update pairs better with my dragonfly than my grado amp, better bass and slightly less bright. Rather than spend hundreds of dollars on cables, I would suggest trying different tips to alter the sound. 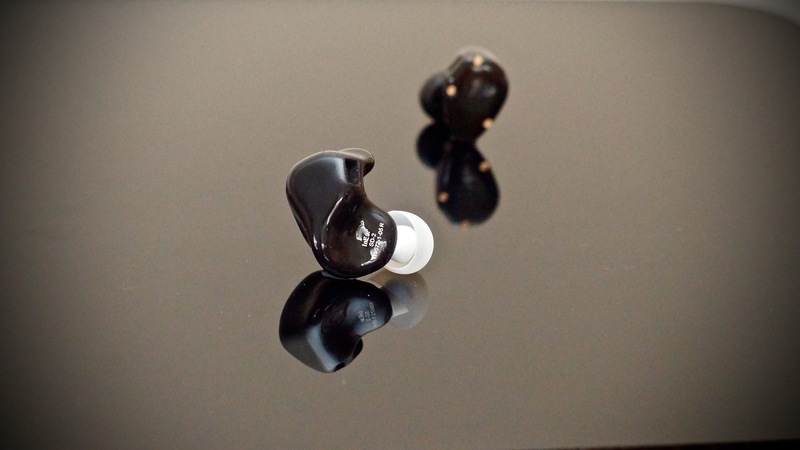 Can't find another in-ear better than Savant in this price range. Very informative, especially the argumentation and comparisons with other iems that led you to this conclusion. Looks like you spent a great deal of effort in coming up with a well thought out and unbiased review. That's a very bold statement to make, I hope it's a fact that you don't have much access to other IEMs. Don't get me wrong, I like the Savant too. Most enjoyable in-ear I've ever had! Does its job well, but let down by some issues. Pros - Clarity, detail, vocals. Comfort, isolation, cable quality. Extremely lightweight. Cons - Price. Accuracy, bass texture and quantity, instrumental performance. 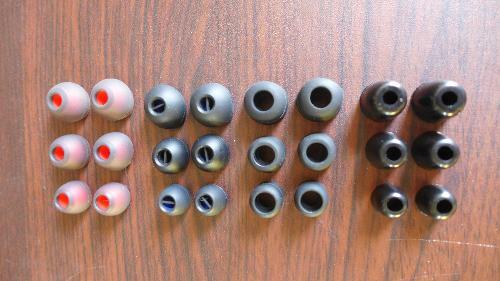 Design, ear tip quality, microphonics. Noble Audio is one of those companies that don’t mess around. The company, as well as the names of the members themselves, are famous in Head-fi circles – they’ve done amazing work not only creating products that sound good, but also bring something new to the table. Custom and Universal models? Check. 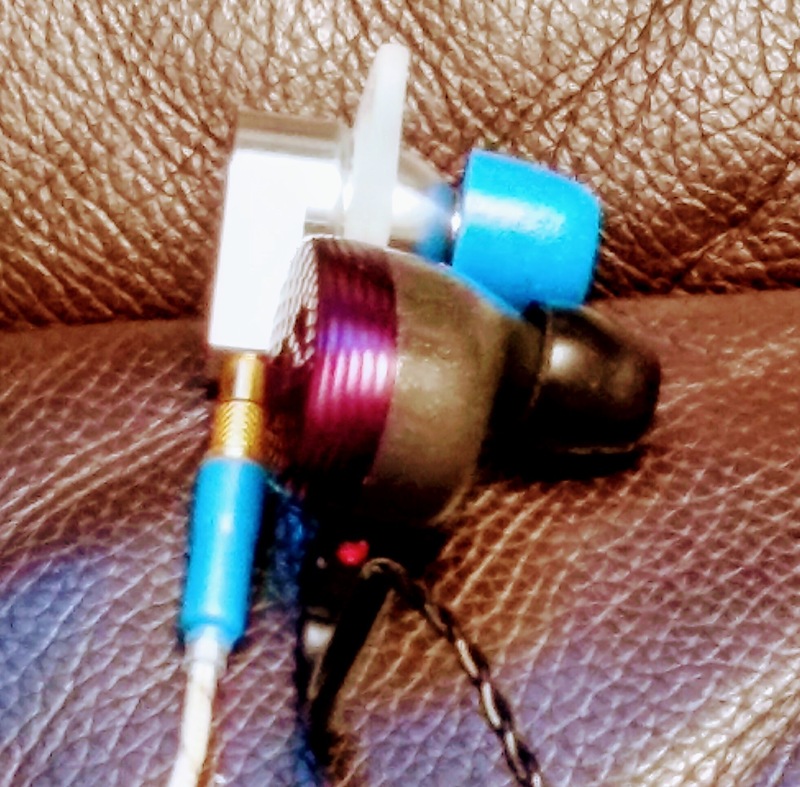 10 driver flagship IEM? Yep, and a whole host of other driver amounts too. You want the shell made out of exotic wood? How about honeycomb? Carbon glass? Pinecone design? 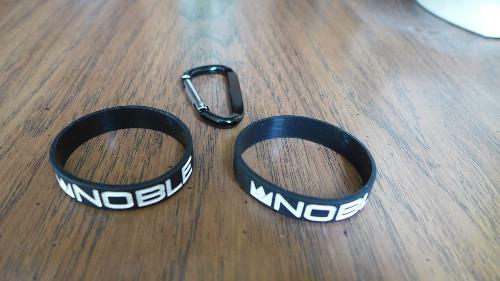 Almost every cool design you can think of, Noble has up for sale. 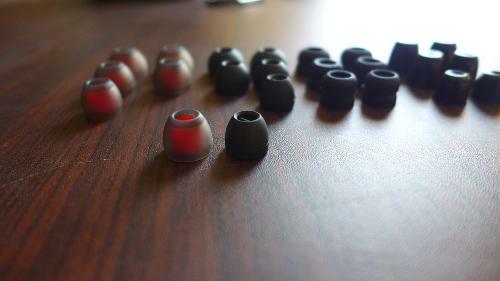 From a consumer perspective, Noble has innovations in almost every area of the IEM market. Reviews are stellar, and the co-owner of the company, known affectionately as “the Wizard” Dr. Multon, is talked to and of around Head-fi often. His designs, along with his team’s help, support, and execution, raised Noble to a level quite a bit above what most would call a “normal” company. So, why should you care? What am I giving you a history lesson for? Some reviewers here feel that the reader should read the personal background of the company and another (usually longer) one of the reviewer himself. They’ve been around for a while, and are known to be good. The company’s confidence in their products (and your confidence in theirs) should be quite high now knowing this. Because of this, I’ll be reviewing this product with the assumption that the Savant should be, at the very least, really great. I can’t attribute mistakes to “beginner mistakes” or anything of that sort. The Savant is also advertised as “Perhaps the most subjectively balanced in-ear monitor Dr. John has designed,” so I’ll be rating it as such – you should too. Since they’ve done so much in the way of aesthetics, design, and build (all those materials on their portfolio I mentioned earlier, remember? ), I’m expecting the Savant to have above-average build quality and looks. Lastly, and take this with a grain of salt, it’s important to know that, in my experience, large companies may not have as good price/value ratio as smaller, more subtly hidden companies. 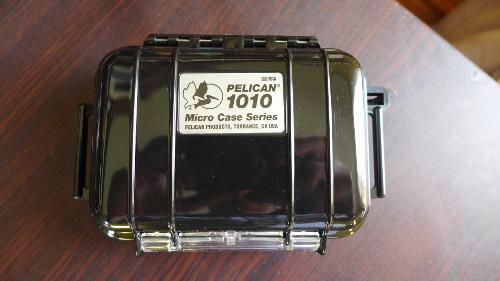 Also know that they usually have consistently better products, and make fewer flaws, but it does come at a price. Two examples that come to mind are Fiio and Sony – they make great products, but probably not at the absolute bargain low you could get from other companies. It's a trade-off. Because of this, I’ll keep the price/value ratio in mind – and make a note of it near the end of the review. And now, with that in mind, let’s begin! I was provided the Noble Savant free of charge in exchange for my honest impressions of it. I don't work for Noble (unfortunately), and I am in no way affiliated with them, nor promoting them for marketing reasons. 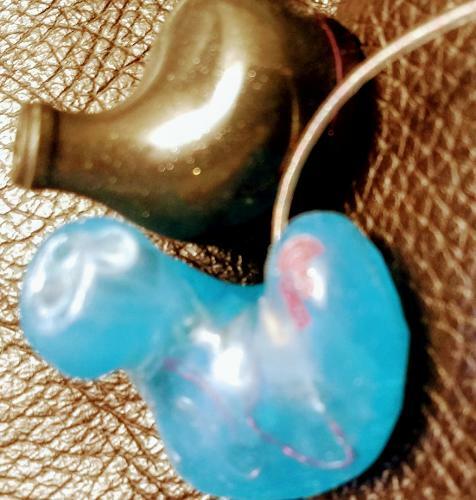 I'd like to thank Brannan "The Glove" Mason for extending me this opportunity to review one of the most famous IEM's on Head-fi. He was extremely kind to me throughout, I could only hope that other people look up to him in that regard. Thanks Mr. Mason! 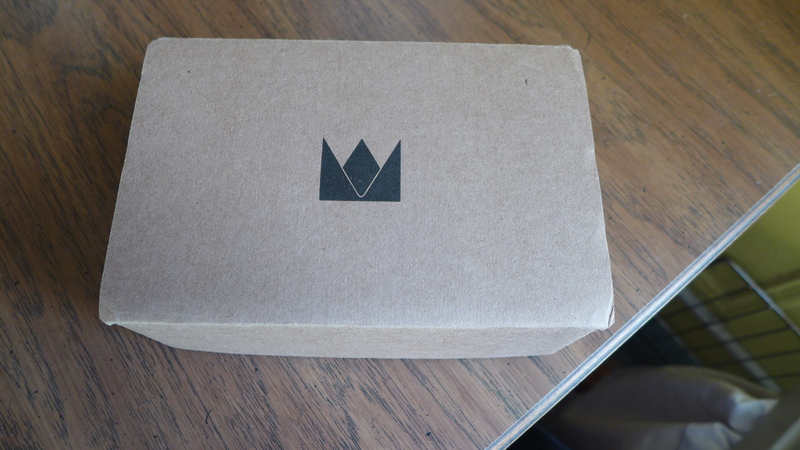 The Savant comes in a pretty ordinary-looking brown box, with the Noble logo on it. 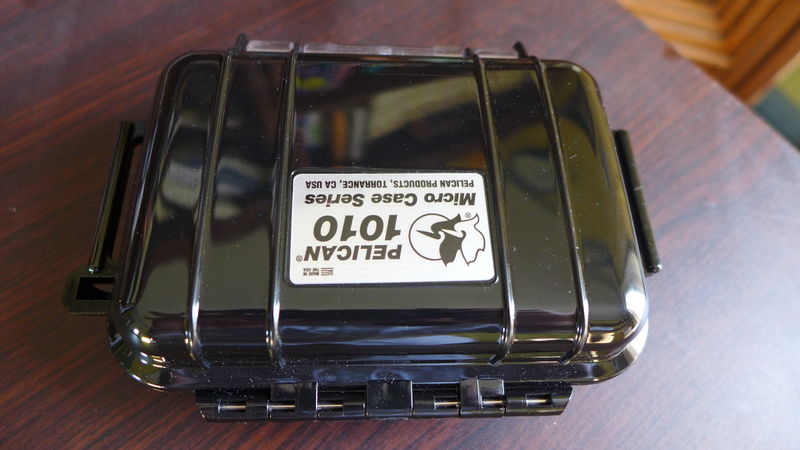 When you open it though, the black box within looks a lot better. It’s also devoid of too many details, but at least it has a nice wavy design that contrasts a lot more nicely with the logo. On the back there’s a few specs, but nothing much other than that. Open the black box, and you’re greeted by quite a few items. 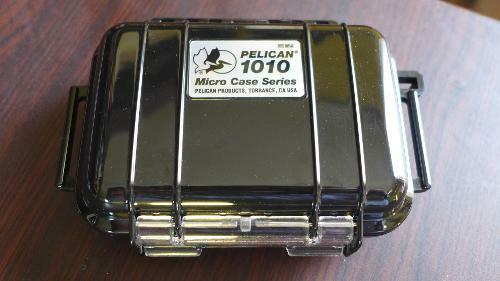 Firstly, and the largest item in the box (and the one that contains all the other), is the Pelican 1010 case. 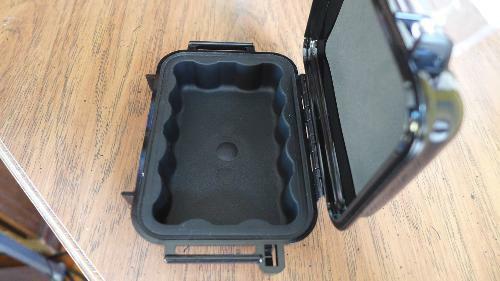 The case offers a nice amount of room for the Savant, and I can comfortable fit the IEM into the case without too much trouble – no worries about cutting the cable there. 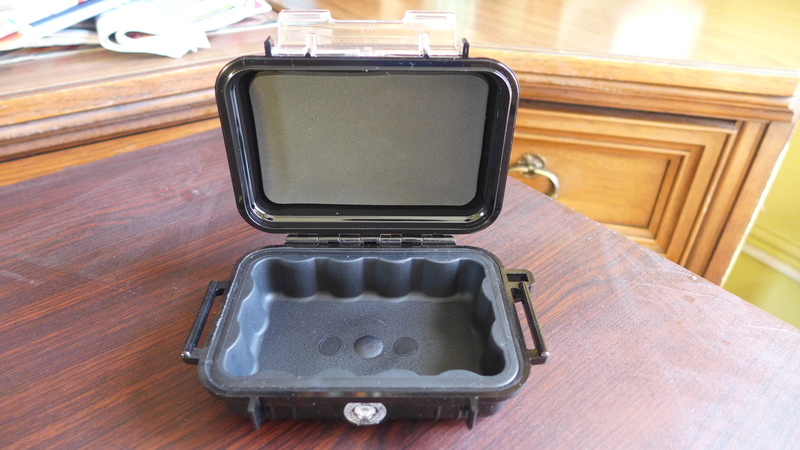 The case is also beautifully built, and has a sturdy clasp as well. It does seem fingerprint-prone, but as a headphone case, that shouldn’t factor in too much into value of the product. 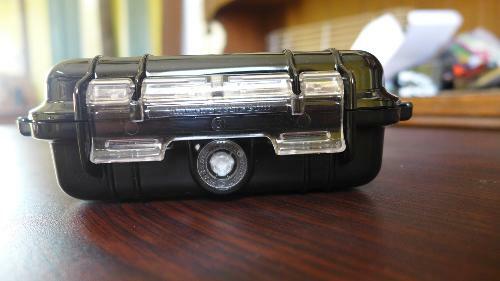 It functions very well at what it’s supposed to do, and is one of the better ones I’ve seen. Opening the case, you’re greeted by all the other accessories. First of which, are the ear tips. 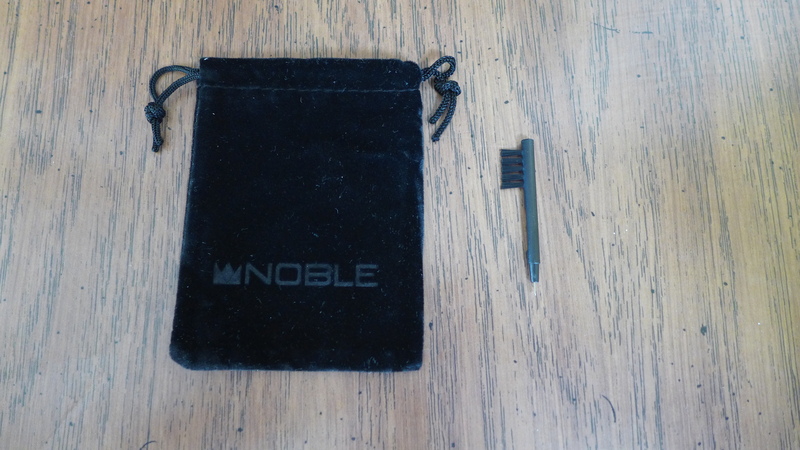 Noble made a mighty effort to include tips that match everyone’s ears – there’s four different types of tips here, each one in a set of small, medium, and large. 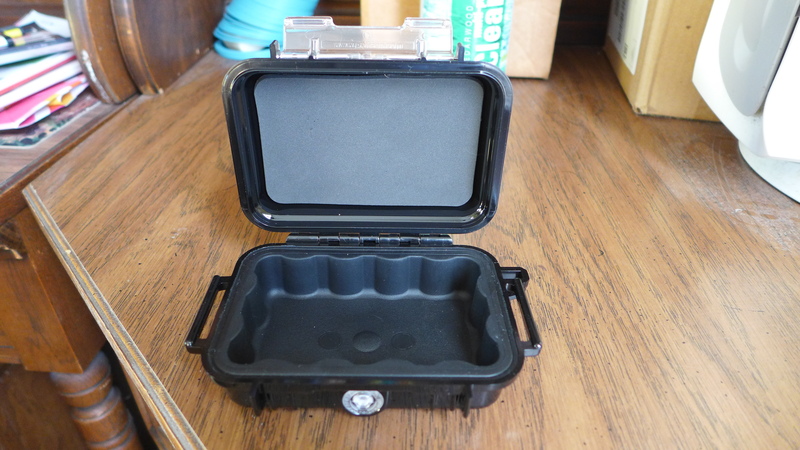 Two sets are regular silicone, which happen to be a bit stiffer than what I’m used to, one set is bi-flange, which is useful for those looking for a different/better type of seal, and one type is memory foam. 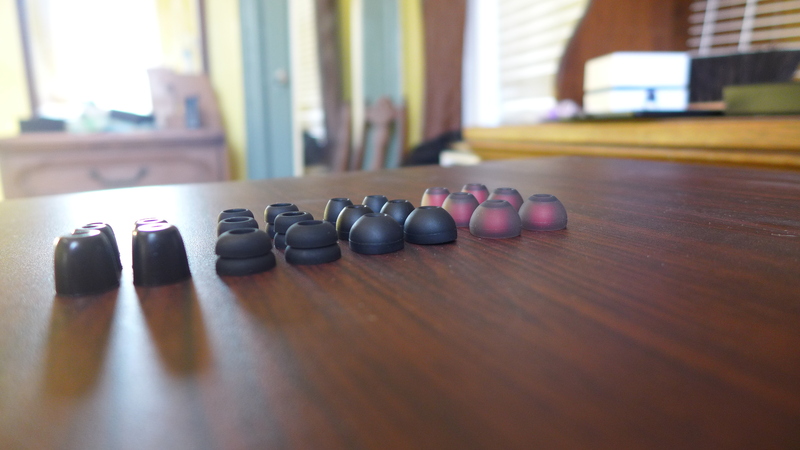 While the memory foam tips aren’t from Comply, I wasn’t able to tell – they’re pretty well built. One thing to note about the tips is that they don’t exactly come in a neat set or row like other IEM’s I’ve seen; these actually didn’t impress me on first sight since they came sort of scrunched up in little bags. No worries though; after taking them out, none of them seemed to be deformed in any way. Still, coming from Dunu and their neat set of tips, I was disappointed that they seemed a little more sloppily put together by the Savant. The second thing I’d like to note is that the two sets of silicone are not the same sizes, even comparing small to small, medium to medium, etc. At least for me, the small ‘blue’ set of silicone was smaller than the red pair, and the same thing for the medium size; if you want to know what I mean, some of the pictures show the difference between the red and blue tips. I’m not sure if this was intentional, or just different sizes from different makers. 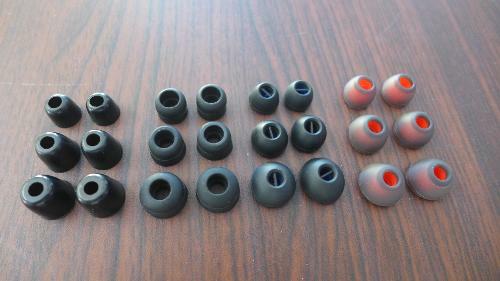 Either way, you should be able to find at least a pair that fits your ears (more on that later). Overall, the set of accessories were quite nice – I could have used a 3.5mm to 6.35mm adapter, but honestly, besides for that, I think they’ve given everything you need and left out pretty much everything you don’t. As for the packaging, it could be better at this price, and for the sake of first impressions I hope that it improves, but it gets the job done, and that’s what counts. 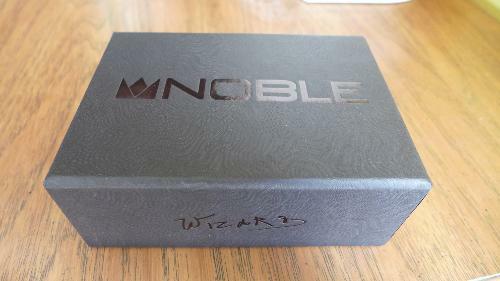 Just keep in mind: I have the Wizard design as the review sample, so that is the version I will be talking about. It’s also the price range I’ll be judging by. The Savant is solidly made – even though it’s made out of (ABS) plastic, and not metal, it remains well built, and should last a long time. It looks a tad large, but as an $800 IEM, all that magic sound has to go somewhere, you know? 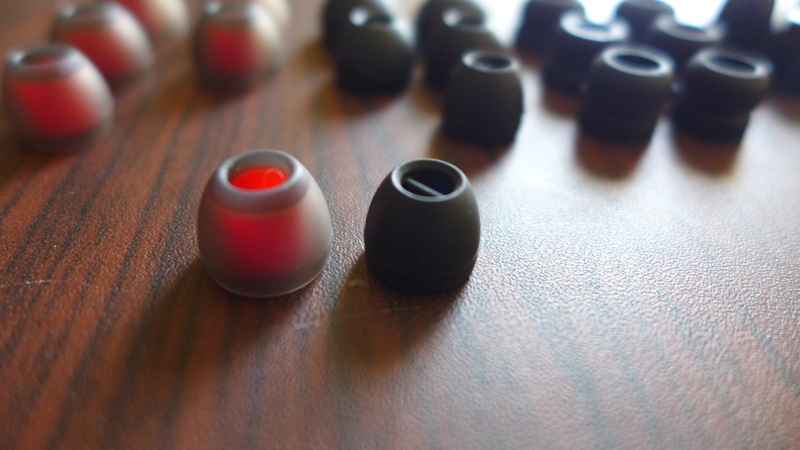 It’s cleverly shaped though – the nozzle projects out of the main body a bit, so it can sit in your ear comfortable. The nozzle has dual bores, which is a configuration that I haven’t seen before, but can appreciate. The dual bores make the cleaning tool very much in handy – although the tips should keep out all the earwax, in case some get into the nozzle, the cleaning tool should make it very easy to keep the nozzle clear. The cable is a bit more interesting – attached in the beginning are ear hooks, as the Savant is clearly meant to go over the ear. It has a dual pin connection, and I actually found it a bit hard to pull out the connectors – I’d much rather that than the other way around though, at least I know it’s sturdy in the sockets. 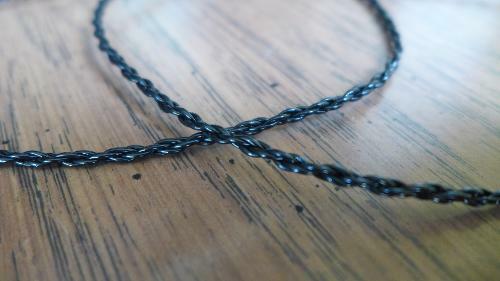 I don’t know what type of material the cable is made from, but it’s braided, looks very well made, and isn’t in any way stiff. 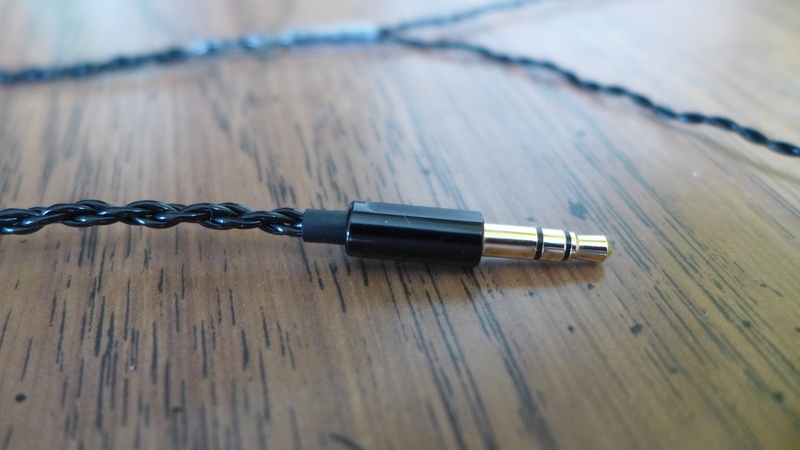 The cable jack is a straight gold-plated headphone jack, and strain relief is good there as well. I was hoping for an angled jack, since I’m always worried that straight jacks will bend in my pocket and break, but it’s not necessary. 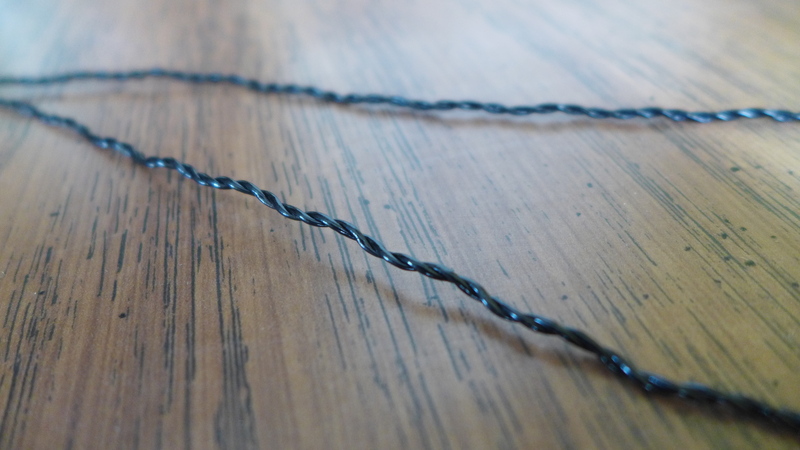 The Y-split isn’t as luxurious as I hoped it would be though – since it’s all one large braid, there’s only some shrunk plastic by the split. 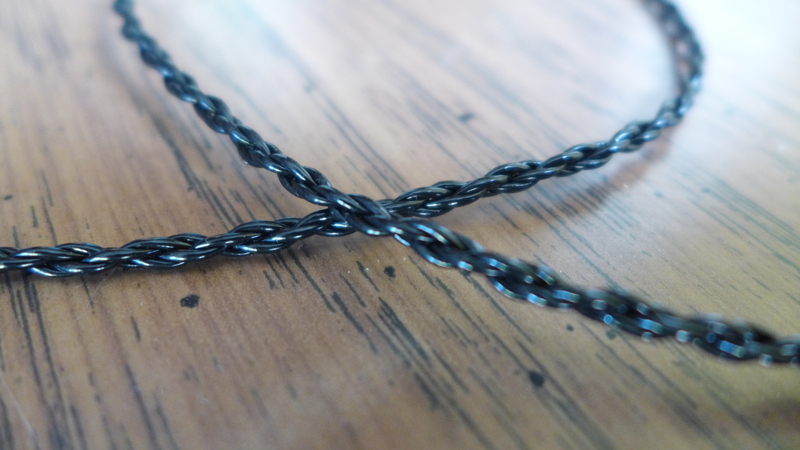 However, it does keep weight low, which in turn makes the cable incredibly light - something I’ll talk about now. The weight of the Savant is one of its strongest points, in my opinion. Precisely because it uses a plastic shell, and a lightweight cable without any metal on it, the Savant is the lightest IEM I’ve ever held. The shells themselves are absurdly feather-light, and the cable doesn’t weigh it down either. 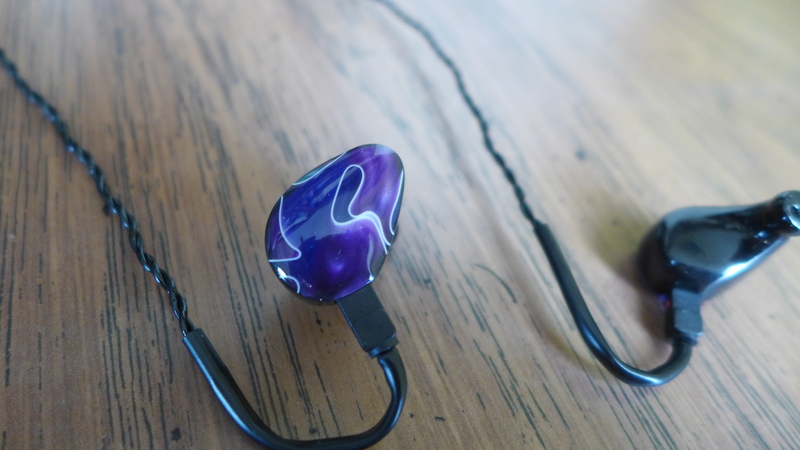 This also helps in the sense that the Savant can be worn for hours without feeling the weight pull down on you – a constant struggle in the IEM market. Instead of finding a way to perfectly fit every part of the headphone into your ear, Noble instead found a way to make that unnecessary – and still keep stress off. It’s one of the things that I’m still surprised about now. On the flip side of the coin, the design isn’t as great as I hoped it would be. The pictures convey a jewel-like object, and while it still looks good, it doesn’t look nearly as great as the pictures would have you think. It’s a hard thing to convey, since when I took pictures of it, it looked much better as well – I think the fact that it holds up better in any and all pictures I took of it is a feat of its own, but the fact remains that, even the Wizard edition, doesn’t look as good as I would have expected it to at this price range, and especially after the upgrade from the standard model. I won’t go into the specifics about price changes between the aesthetically different models, but suffice it to say that I’m not sure it should be that much of a price jump. 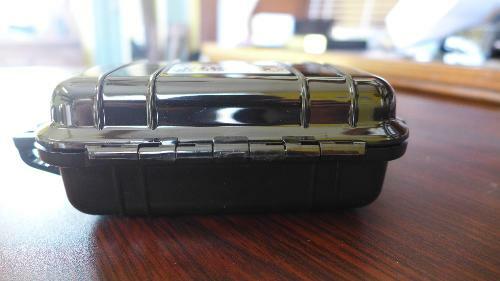 The second thing about the design I’d like to note is the look of the shell itself, without noting the design. 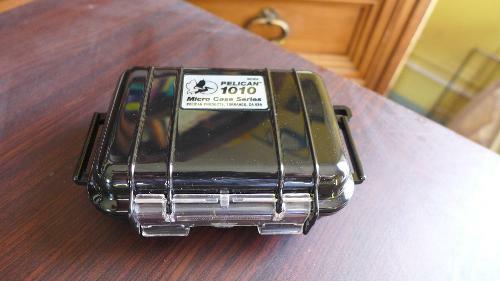 While the plastic shell keeps the weight down, and does a whole lot for comfort, I can’t help but feel every time I look at it that it doesn’t feel its price. I had this problem slightly with the W40, but at $300 more, the Savant is the bigger issue. 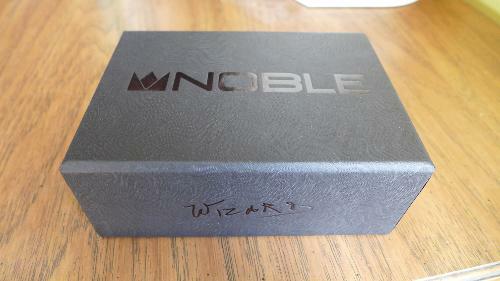 The plastic shell is underwhelming, and as the Wizard edition, I was hoping the look could be improved on. So do I have a solution to this that I can suggest? Unfortunately, no, I don't. Making the shell metal, or any other better-looking material, would invariably raise the weight of the Savant, which wouldn’t be good for comfort and long-term listening. 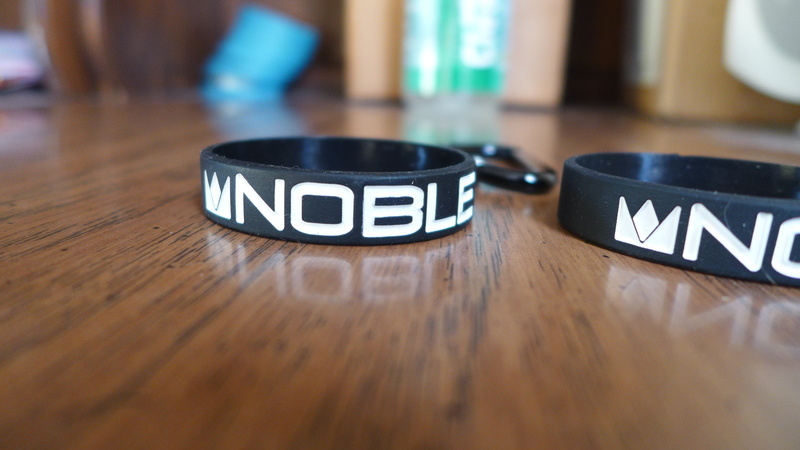 The only reason I bring this up is because Noble is known for their aesthetic design, and on that front, I’m a bit disappointed. I'll add a few suggestions in the conclusion that could possibly remedy this, but nothing definitive. One could say that looks come at a price – I’m sure the Prestige models look a lot nicer. However, judging from a comparison point of view, I would have thought that the price of the Wizard Savant was enough to include impressive aesthetics as well. Unfortunately, even when worn over the ear (like it’s supposed to), the Savant produces some microphonics. 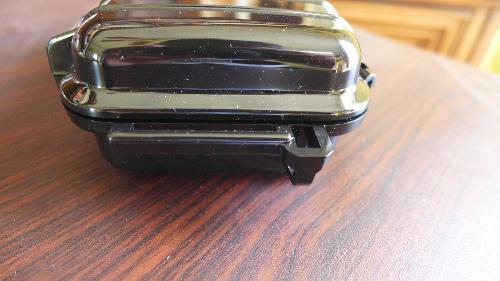 Perhaps a shirt clip would reduce some of the rustling noise (hint: add one in the accessories), and I’m sure that swapping the cable out would help this bit. But while many head-fi’ers have replacement cables to spare, many don’t, especially after spending this much on an IEM. 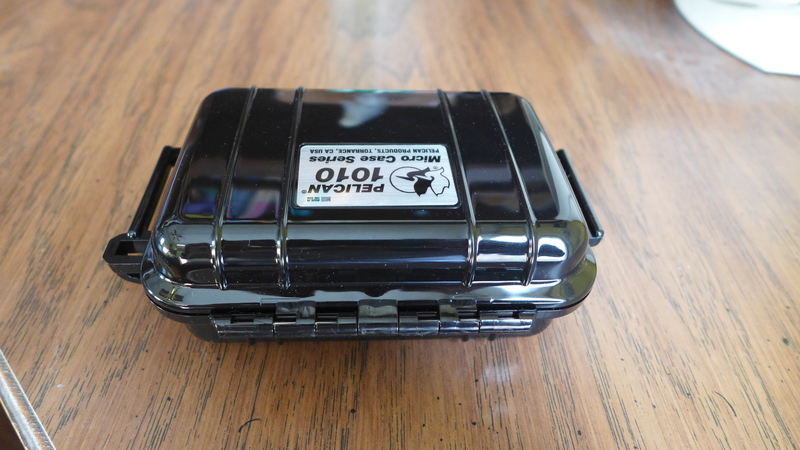 The microphonics aren’t too bad, but it’s noticeable (especially with zippered clothing). I’m sure this is due to the barebones braided design of the cable – if the cable had some sort of outer covering, I’m sure that this wouldn’t be (at least) as much of a problem. 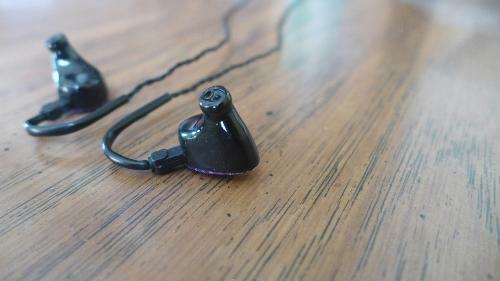 The Savant is definitely comfortable – one of the most comfortable IEM’s I’ve owned. Unfortunately, when it came to fit, I had a bit of a rough time. Looking at other reviews, I seem to be the only one with this level of a problem, so you might want to check a second review about the fit and isolation before deciding anything for yourself. I mentioned earlier that the Savant comes with 4 different types of tips. So, as usual, I tried the silicone ones. The first thing to keep in mind is that they are not soft – just to reverse the outer part of the tip (turning the round part inside-out, so to speak) took a darn long while – the stiffness of even the blue tips (which I believe are supposed to be softer) was stubborn enough that it wouldn’t allow me to do that at all. 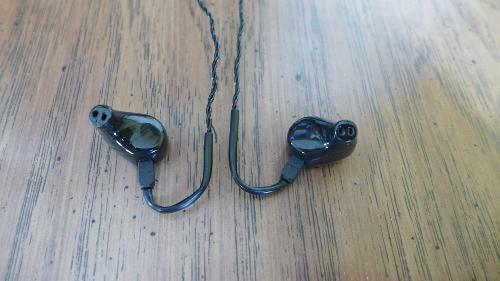 Then I tried putting the tips on the IEM – there lay the first issue. 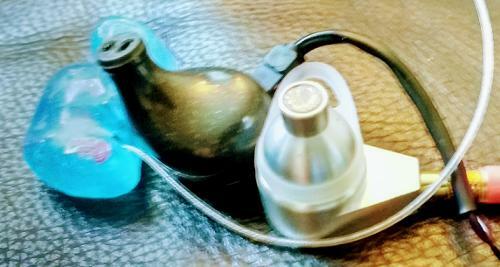 While the biflange tips and red silicone ones didn’t take me very long to get up and running on the IEM, the blue silicone tips took me 20 minutes to put one – whether it was small, medium, or large. Just to show that it wasn’t clumsy hands that made it take that long, I was considering putting up a video of the process. However, I think that’s just a bit overkill, and I hope you can take my word for it that the blue-colored tips don’t seem to be very much compatible with the Savant. This isn’t only a problem with the blue silicone type though – the foam tips took me nearly as long to put on as well. The only solution I can think of is that the nozzle sizes are not the same between the Savant and some of the tips. Adding in the fact that the silicone tips are quite stiff, and stretching the nozzle sizes to fit the Savant becomes a huge chore. When I did get them on though, I realized after a few minutes that they kept on popping out of my ear – the seal seemed too shallow for the medium-sized tips, and too large for the large-sized ones, making it too hard to get a good seal for my ear. 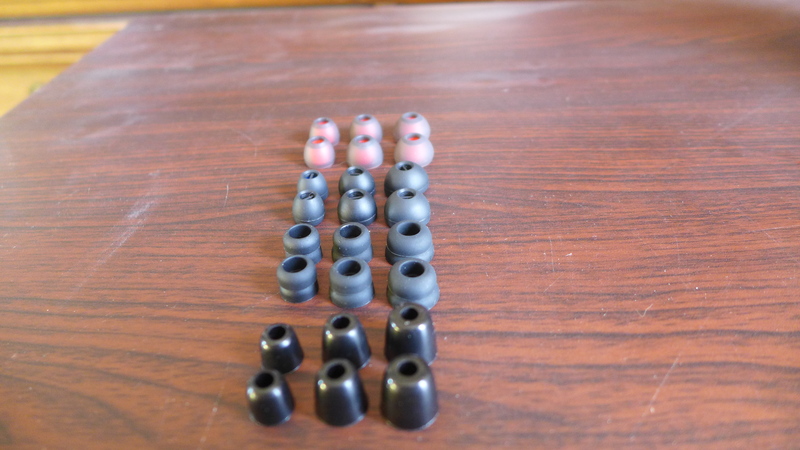 If the silicone tips were softer, I would have probably been able to get more or less a good mold in my ears, but as the tips are stiff, it would have to be a perfect size for the tips to stay in and not pop out at the first opportunity. Surprisingly, I found that the large biflange tips, while still a hit-or-miss in terms of seal, did have consistently good results when having a good fit. I was considering using those for most of the sound section, but as the biflange lets the nozzle be closer to the ear than the other tips, I was afraid the soundstage and imaging would be affected, as well as the “forward-ness” of vocals, etc. So I ordered two pairs of Jaben Spinfit tips, and one pair of JVC Spiral Dot tips. It took quite a bit of time to arrive, but once they did, I found much better results with them than with the stock tips. I stopped having issues with fit, and it showcased the comfort of the Savant as well. 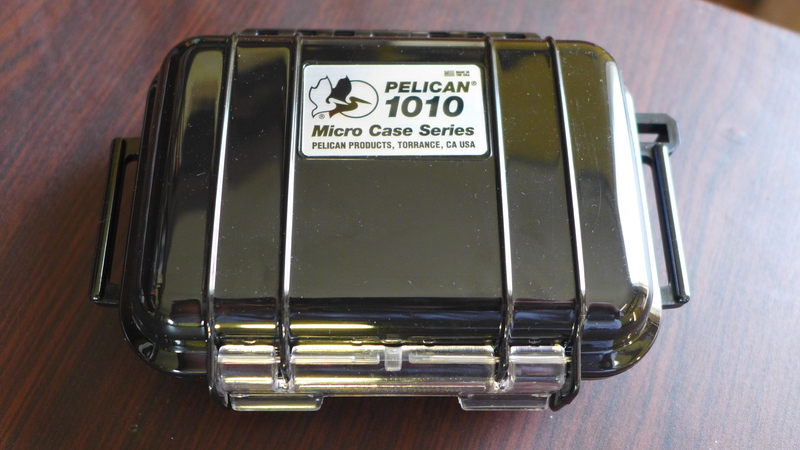 One thing I did find slightly better with the large bi-flange I was using was the seal – those tips, when inserted correctly, gave me one of the best seals and isolation that I’ve had in a long time – it even surpassed the W40 in terms of isolation, and that’s no easy feat. 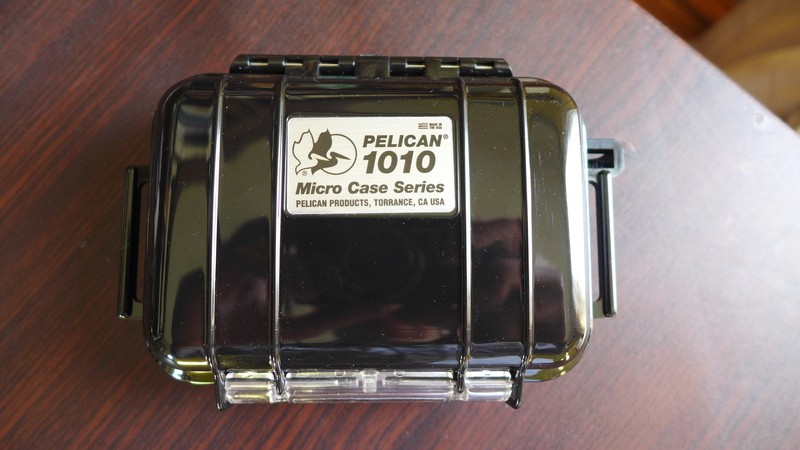 Get a good seal, and the isolation is one of the best I’ve heard on the market, period. It’s easy to walk around in Manhattan (I’ve tried it) with these headphones, and not hear really anything at all; it’s perfect for commute, and loud places as well – something every portable IEM should strive for. So overall? I got unlucky that most of the tips didn’t provide a good seal, but from what I’ve heard from others, I’m more the exception than the rule. 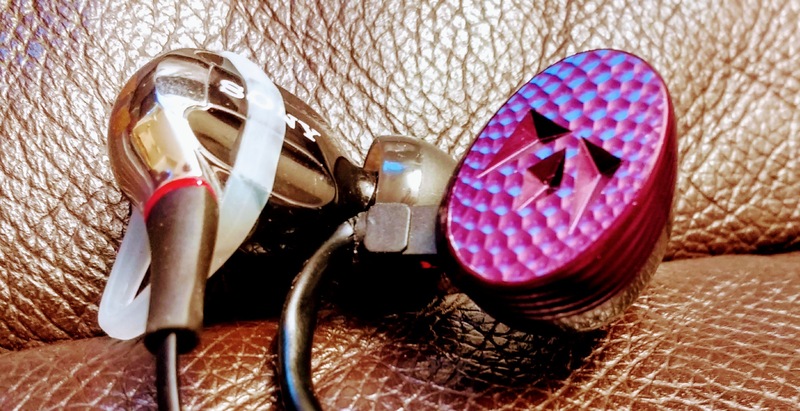 When they do fit, though, the lightweight component of the Savant makes it easy to keep these in your ears for hours on end, and the isolation is top-notch. 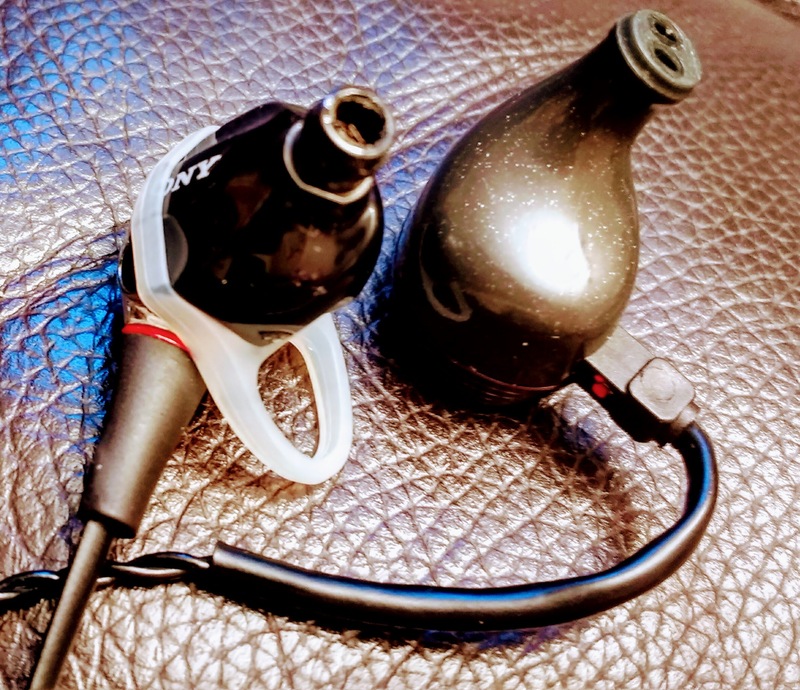 People with glasses may find different results with the Savant; while I myself didn’t have too much of an issue with the over-ear hooks, I know some do, so having a spare cable on hand or trying out the Savant first are probably the best ways to go about it. I just wish some of the tips weren’t so incompatible with the Savant; that alone gave me quite a bit of frustration. So this is the main part, huh? Well, for testing, I used all three of my DAP’s – the Cowon J3, Shozy Alien, and Aune M2. In addition, I tested the Savant with the Tralucent DacAmp One, Cozoy Aegis, and the m9XX, for the DAC/amp category. My views of each of the categories come from an overall assessment of how the Savant does for most part, as there are sure to be exceptions (you’ll see more of that later). 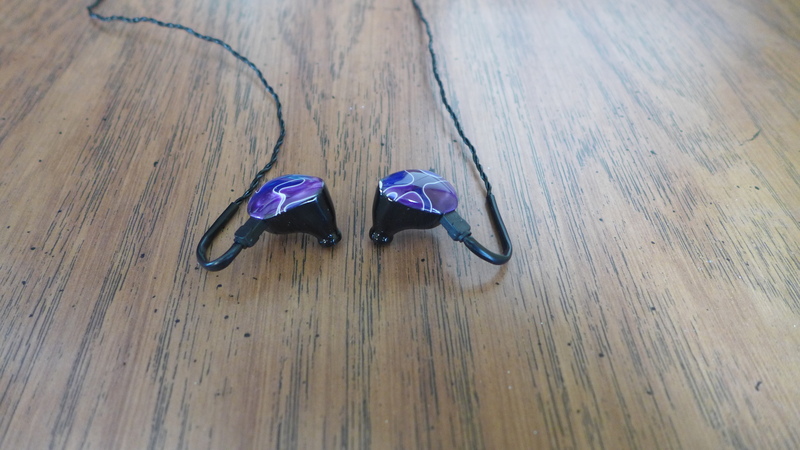 Overall, I would say the Savant has a very non-aggressive tuning – it seems pretty tame with top-end sources, and for those who really want to see how far on a limb the IEM can take the music, the Savant may not be the best option. For those who want something to listen and relax to, the Savant isn’t going to come with any unwanted surprises. I tried it with a few rock albums (The Joy of Motion being one of them), and while it didn’t fare too badly, I feel like it should have been showcased a little more freely. 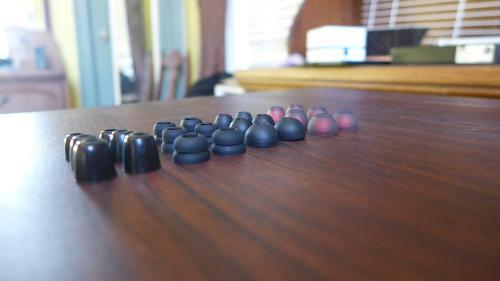 The Savant sure is balanced though – a nice departure from all those V-shaped IEM tunings we (at least I) had more than enough of. Bach, Beethoven, Mendelssohn, Mozart, Pagnini Niccolo, Handel, Tchaikovsky - various pieces. Bass: The roll-off isn’t as bad as people make it to sound – while it does seem to have a roll-off by the deeper ends of the sub-bass, it’s still there, and audible. It’s not like many other roll-offs I’ve heard that the bass becomes virtually gone in certain areas. Other than that, the bass seems a little bit lower than neutral on certain tracks, but only slightly, and on others it’s downright neutral. As this is a balanced tuning, don’t expect much rumble, although the Savant does give a bit to you. As for texture, it isn’t as textured and detailed as I hoped it would be, considering the amount of detail it has in the rest of spectrum; it seems to have a little less resolution than everything else, and is slightly thick in certain cases. Bass punch and slam is great, and is very enjoyable even if the texture and quantity isn’t so much. Overall, you get a “smooth” type of bass, not an aggressive (clarity-wise) one. Midrange: Female vocals are great here; very clear, textured, a bit forward, but not in-your-face. It’s sort of like the Titan 3’s midrange, since its vocals are fantastic as well. Either way, the female vocals on the Savant is nothing short of fantastic. Male vocals have the same great traits, as far as I can tell. Instruments are a little bit of a different story. I’ve gotten different results with the three different types of ear tips that I’m using, but they are similar in one aspect – the instruments don’t sound accurate. Now, don’t get me wrong, I’m not expecting them to sound as if I’m there, but I would at least expect a piano sound like a piano and a guitar sound like a guitar. Unfortunately, at least to me, they sound “off” and not accurate. I found this the fastest with the bi-flange tips, but then realized the same (on a bit more subtle level) with the Jaben and Spiral Dot tips as well. This, to me, is somewhat of a deal breaker. It reminds me a bit of my previously-owned SA7, which had similar results with accuracy. It gets somewhat better with top-notch source files and a really good DAC/amp, but it’s still noticeable. As someone who listens often to instrumental music, it is a bit disappointing at this price point to find that guitars, violin, and piano don’t sound as they really should. It sounds good, IMO, but not exactly like the instrument they’re representing. I found this result across a couple of players and DAC/amps that I’ve used, so unfortunately that leaves the Savant to be singled out. Highs: The highs are pretty decent; it goes for a smooth upper register, which takes off any notion of the Savant being “bright” – on the flip side of the coin, there isn’t much ‘airiness’ or sparkle, which for an IEM is pretty much a safe expectation. This reduces fatigue by a whole league, and makes the Savant listenable for hours on end. Despite this, the Savant does a pretty good job in the highs – not exactly what I was expecting, but it doesn’t disappoint either. Drums are accurate, and violins, while slightly ‘flat’ to my ears, sound good nonetheless. Clarity: This is where the Savant pulls through very well – the clarity of this headphone is a league above everything I’ve heard in the lower price range. Detail: The detail this IEM presents is also a very strong point, carried through by the amazing clarity it provides. 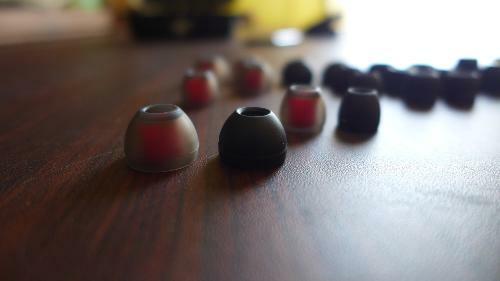 Together, they make for a very good match and a great listening experience. 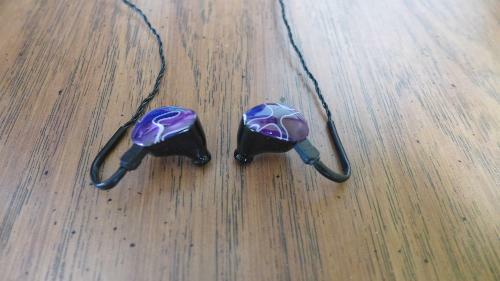 Soundstage: The Savant's soundstage is not all there in spades, but for an IEM, I didn’t expect it to be. It’s very slightly below average for its price range, but never feels too congested. Just don’t come in expecting an AKG K702 soundstage, okay? 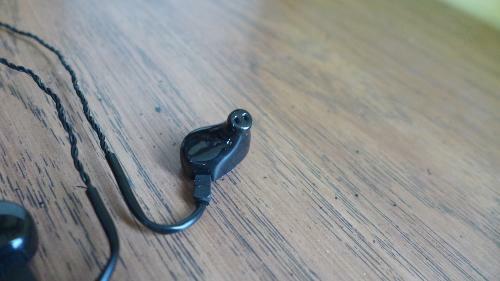 Accuracy: This, along with a few gripes about the bass, is to me what really lets down this headphone. I’m not sure why it doesn’t sound accurate, or whether it has anything to do with the smooth presentation it provides, but it just doesn’t accurately represent various instruments. Cellos and drums seem to be the major instruments it works best with, although even there I feel the cello sometimes gets let down due to the bass. YMMV, of course, but these are my findings. The sound is quite tip-dependent though, so perhaps with different tips there’ll be a more accuracy. Coherency & Flow: Due to the smooth presentation, the sound on a whole flows quite well, and is very easy to listen to. Genre Recommendation: This is a tough one. The Savant’s sound, to me, is most suited to classical music, although there it’s pretty easy to run into the issue of accuracy. I found accuracy to be more of an issue with individual instruments more than with an orchestra, so it definitely is enjoyable with classical music. Surprisingly, the Savant works very well with electronic music – of pretty much everything besides for the EDM (dance music, and/or the usual ones put out by Spinning Records) kind. I feel it could be better in the bass area for that genre, but it doesn’t disappoint. Rock/Metal are two genres I wouldn’t recommend the Savant for, but for any vocal lover, the Savant is a really great choice. Scalability: The Savant scales exceptionally well with sources – it’s easy to see the improvement between sources of higher caliber and “budget equipment”. Listening to the Savant with the Aune M2, it’s incredibly clearer than with, say, the Shozy Alien, even though it pairs well with both. I can imagine that it only gets better the higher end the equipment goes. Savant/Shozy Alien: the Alien has this magical quality to its sound that many people like – it’s more of an entrancing experience rather than a technical one. While some headphones are picky with the Alien, I’ve found the Savant pairs really well with the it, and keeps that magical quality that so many like. While it’s still not the best pairing for rock/metal/anything aggressive, it works well with a variety of genres, particularly psychedelic and electronic music. It’s a very enjoyable pairing overall, and is a really great way to maximize the Alien. Savant/Aune M2: This, too, is a fantastic pairing, although in a very different way. When paired with the M2, the sound is exceptionally clear, spacious, and involving. 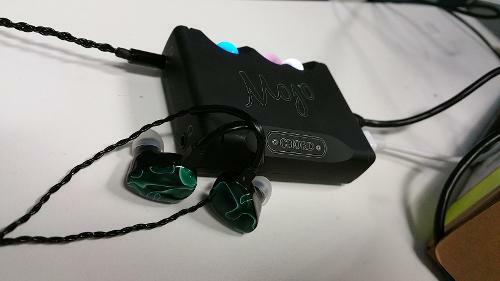 While the Alien pairing seemed to provide an enjoyable experience, the M2 pairing is well defined, analytical, and offers a whole lot of detail that helps get you engrossed in the music. I found myself actually focusing on the music itself a lot with the M2/Savant, and that’s not something that usually happens to me. Still doesn’t fix the “problems” the Savant has, but does ramp up the level of detail and coherency it provides. Savant/Cowon J3: This is where I see the J3 struggling; it’s clearly not suited for the Savant, simply due to the fact that the Savant is limited in potential by the J3’s sound cap. The J3 is just not good enough for the Savant, especially after coming from other, better sources. Savant/m9XX DAC/amp: This pairing isn’t as amazing as I would like it to be; the m9XX is a tad tame as it is, and I feel that the perhaps overly “safe” sound of the Savant could use something more aggressive as its source. It’s good for showcasing the Savant’s abilities, and while it doesn’t fix any problems, it doesn’t overstate them by much either. Savant/Tralucent DacAmp One: The DacAmp One has a pretty aggressive and detailed take when it comes to sound – the Sabre DAC inside of it is part of the underlying cause. 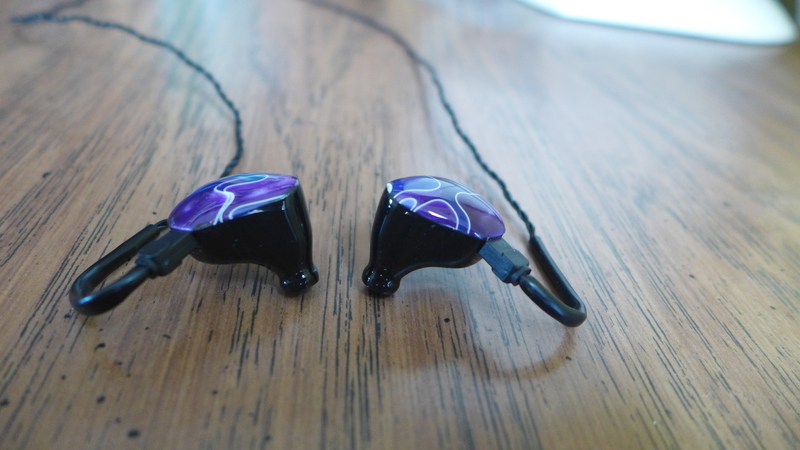 Paired with a smooth IEM like the Savant, it provides a perfect tuning for most genres. Unfortunately, the DacAmp One doesn’t have a massive soundstage to begin with, and it provides an intimate (perhaps too much so) presentation rather than an expansive one. I also felt that the Savant seemed a bit thin at times, as if the volume was too low (even though it definitely wasn’t). Savant/Cozoy Aegis: The funny thing is, I didn’t expect this pairing to have much impact at all… yet it is the best pairing out of everything I’ve tried. Instruments sound somewhat normal now, refined, and very clear. I haven’t found any serious flaws in the performance of these two together at all, and while the soundstage isn’t massive, the tuning is very enjoyable. It doesn’t have the clarity or detail that the M2 pairing has, so no, I wouldn’t say it has $600 worth of sound (I would go for about two hundred and fifty), but the bass is normally textured, and I actually enjoy listening to rock albums on these. It’s like it got transformed into another headphone. One that perhaps is worth less, but at least is a good all-rounder. To me, I prefer that more. Here’s the catch, though, and it has nothing to do with the Savant. The Aegis has an absurd amount of volume – I haven’t been able to listen to it with any of my IEM’s (which it’s meant for) in Windows on more than 6/100 volume, and even that’s pushing it. Since the Savant is quite sensitive, I actually have to set the volume down to 0/100 (yes, you heard me, 0/100. It still produces volume, I have no idea why) to get a very comfortable level of volume for the Savant. There’s also often static, and an audible amount of hiss. If you don’t mind these though, then the Savant/Aegis pairing is a very good one. 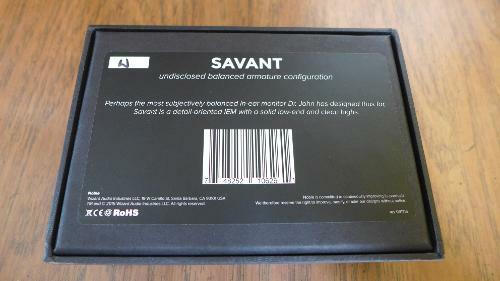 The Savant is an interesting headphone. On one hand, it has the clarity and detail that this price would suggest from the Savant. 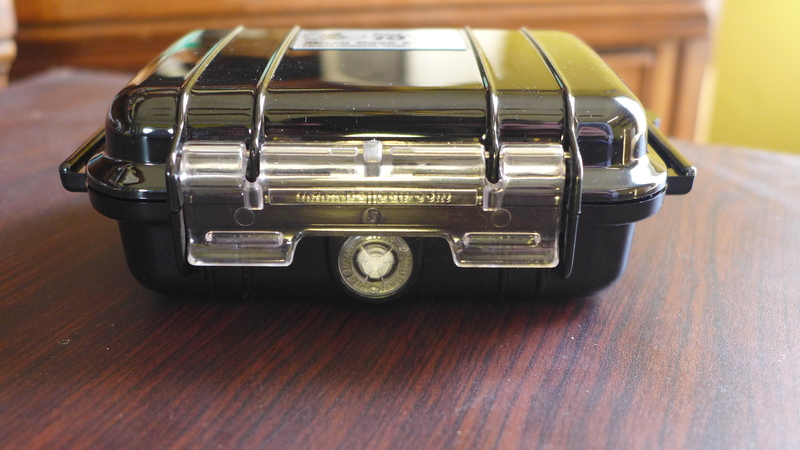 However, there are a few quirks in the tuning, such as accuracy of instruments and the bass. Like I said before, I would much rather a good all-rounder than one that has brilliant pros but also pitfall cons. There’s also the issue of genre – if the accuracy isn’t spot on, then classical and instrumental music is out of the picture. If the bass isn’t top-notch, then most bass-oriented genres are out of the picture as well. The only genre I know that is unaffected is vocal-oriented music, which admittedly makes up a large percentage of the market today. Still, I was expecting the Savant to specialize in more than one genre. When it comes to physical features, it’s the same story. Extremely lightweight, and with a fantastic cable (putting aside the few complaints I had about that). However, the Wizard design is fingerprint prone, and isn’t as impressive to me as the $200 premium extra would suggest, and while premiums are paid for premium products, the plastic shell design doesn’t exactly color me impressed. Same goes for comfort and isolation – those are great, but in return there are a moderate amount of microphonics, and fit hasn’t been the easiest for me either. 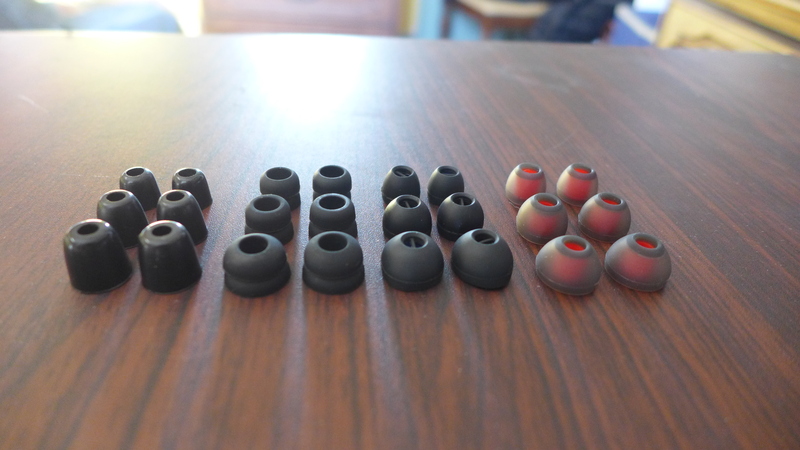 Great selection of tips, but all 6 silicone pairs are stiff, and half the tips are downright annoying to attach to the nozzle. And on, and on. What I’m feeling here is a good product – held back by some issues. Aside from the tuning, all other problems I’ve been facing could be improved on, quite easily. Tips are obviously the easiest to fix. 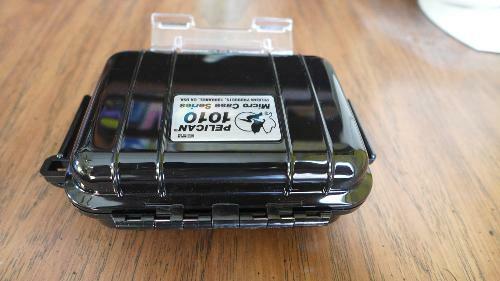 The plastic shell could not have that glossy layer that perhaps gives it the underwhelming look. The wizard design could have an extra layer of gloss and more sparkle that does make it more gem-like in appearance. 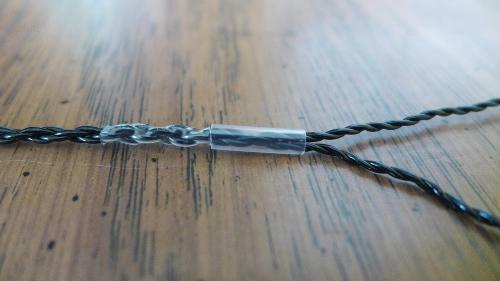 Give the cable an outer sheath – it’ll reduce microphonics that way. At $800 (or $600 for the base model, either way), The Savant is at a very hard price to justify. The design and sound both left me feeling underwhelmed, but it does do its job well as an isolating headphone with a smooth sound. If you’re willing to dish out a premium for great comfort and isolation, and a balanced sound, then the Savant just might be for you. If you’re looking for your dream headphone, or one that’s a league ahead of lower-priced equipment, you might want to try the Savant out in person first. rantng, AllenWalker, jgosroc and 2 others like this. @Hawaiibadboy No, please, feel free to leave it in. I just felt that I was putting in too many comments of my own as the reviewer, but by no means is it something to delete. You made a good point, leaving it is a good choice too.
" 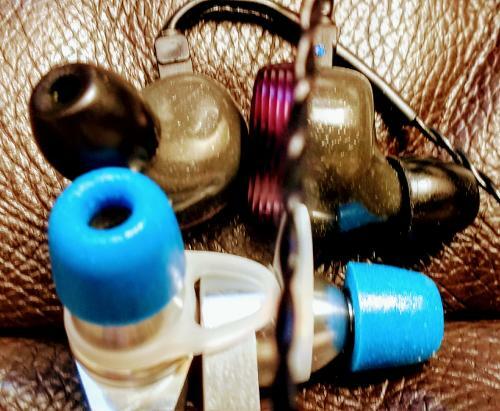 I'm in the market for some new IEMs at this point and need something that'll play well with most genres....feel like giving the Noble 4U's a shot." If you get a chance, please try it before you buy it, as I would advise you to consider the Savant over the N4U if you are searching for a product that is more of all rounder type product. The N4U is more genre specific than the Savant, the N4U is more for vocals, acoustic guitars, analytical listening etc etc.... if one states that the draw back to the Savant is anemic bass, then the N4U is not going bring "joy" any more than the Savant will, as the bass response of the N4U is even less than the Savant. 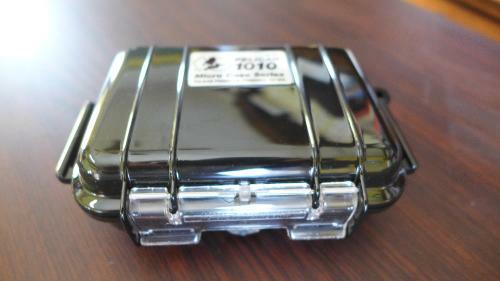 Currently in the Noble line up, the product with the broadest genre ability is the K10. Thanks for getting back to me/ the helpful advice. Definitely gonna head over to the shop to give these a spin. Coming from the IM02/ ER4/ couple of others, and feeling the need for a bit more bass response. Okay I might regret this craving later but having said that I do want something to change things up a little. Have a bit of "near/ToTL-itch right now"...so the Nobles, UM Pro50s/ W60s, 846's, Z5's and just about everything under the sun is up for consideration. Maybe not the K10 - cause that's really, really expensive where I am. Definitely feel like putting up a review/ comparison post soon. Haven't done one of those since the FAD stuff. First things first, I would like to recognise DMarco for organising this tour from Oz. Of course Brannan and the Wizard must also be recognised. Both for allowing such tours to take place and of course bringing forth a myriad of amazing iem’s for all tastes. My name is Scott and I am an audio-holic. I have long loved music, ever since I was but a wee child, listening to my dad’s vinyl or my very first cassette over and over until it no longer played. It was JJ Cale for those interested. Music for me, like most, has pulled me through hard times, made good times great and is my one retreat from the rat race of work and the stresses of busy life. For me I find my enjoyment of audio equipment weighs heavily on the emotions said gear evokes within me. I am all about them feels. This can get very subjective in reviews, so I will attempt to keep the review technical, though I cannot promise anything. These things come locked up like Fort Knox. They arrived to me in an Pelican style box, within a blue box, within a cardboard box within a postage box. While it seems a little over the top, it is comforting to know that your investment is safe and sound, snug as a bug when its headed your way. The Pelican is of good size, unlike the one that come with my ASG2.5 which is too shallow to actually use with the IEMs without risking destroying your cable. It is padded on all sides and I felt confident that the IEMs would be safe within. 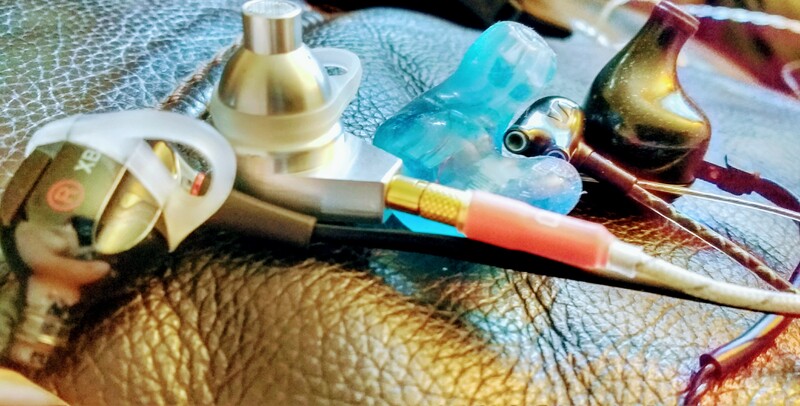 There are plenty of tips to get you rolling, though I had best results with my Ortofon smalls, to get the iems to sit nicely in my strange ears. Outside of these critical items you get some Noble Elastic Bands (which IMO are the best ones), a blackhead remover (Ear Wax quick unstick), a Noble sticker for your scooter and a warranty card. Overall I would give the accessories an 8/10. Realistically the only things missing are aircraft adapters that I see some offer. 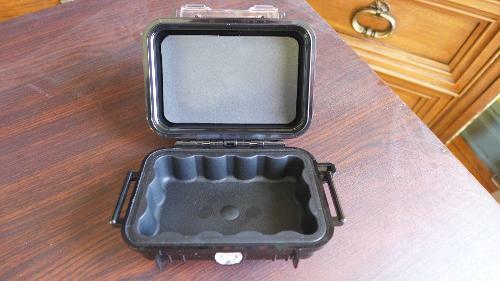 The quality of the provided accessories however is top notch. WOW. I was lucky enough to receive the Wizard design universal Savants for this round and I simply did not expect them to look as good as they did. I have spent far more time scrolling through pictures on the Wizard thread than I care to divulge, however even the best pictures really don’t do these justice, which leaves me wondering how good the full custom/prestige must look. The model I received had a green swirl face plate which I don’t even. Just look. Looks aside I found the fit to be a little hit and miss for me. I never found them uncomfortable, however I did from time to time have issues with them “pop”ing out of my ears. 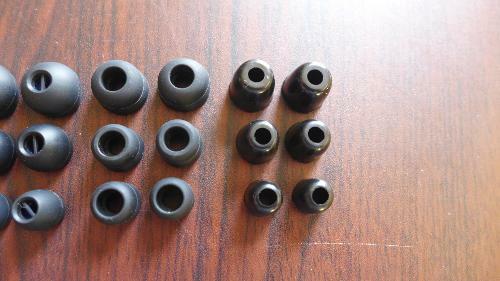 It was as though they are a shallow fitting IEM, however at that shallow fit, they simply wouldn’t secure. 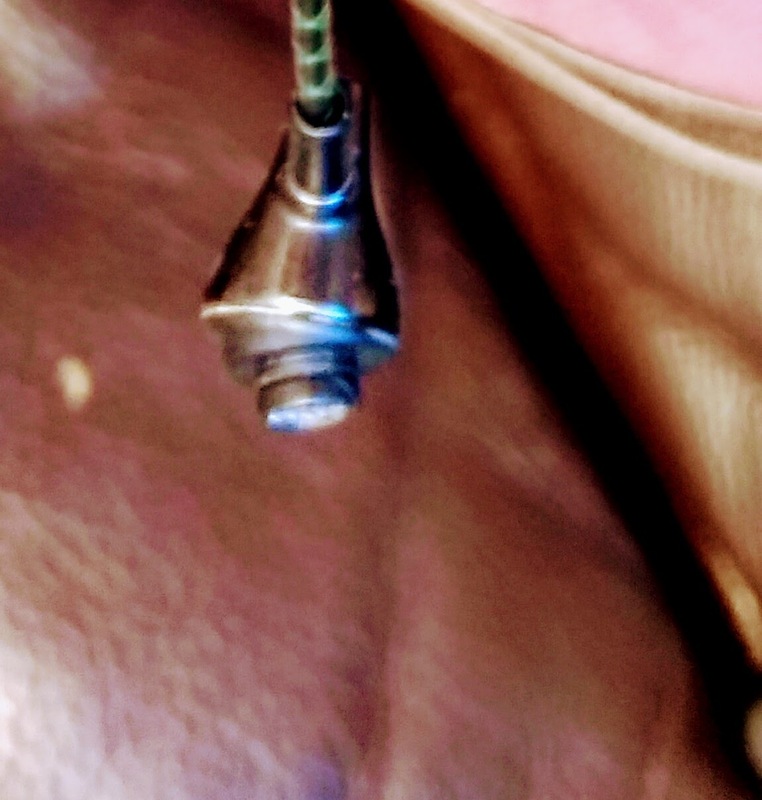 If I pushed them deeper, I got a better seal, a more secure fit, but obviously it would then be a battle of ear canal vs cable guide, which resulted in them seemingly popping out at random. That said, I never found them uncomfortable, so given more time I am sure I could find a tip that suits better for me so take this with a grain of salt. Well. This is where I had a love hate with these Savants. Firstly, I had a preconception I would not enjoy the signature of the Savant. In the past I have been drawn to dark sounding equipment. Well usually neutral/analytical source with dark headphones. I love bass, I am sensitive to highs and I do not generally like forward mids. The Savant does not have an overly extended or emphasized bass, the mids are not necessarily forward but definitely a focal point, and the highs are quite detailed, though doesn’t extend for days. Bass: No they do not have an over abundance of bass. However there is enough to hear the bass represented in a track. No you wont get that brain melting impact, however it is far from omitted. I actually found that some tracks it really pumped the bass, however on a bass light track, it does you no favours either. One of my favourite tracks on the Savant was “Buckethead – Whitewash”. There is no lack of bass here. Mids: I am NOT a mids fan. I like vocals, vocals are necessary, however I like the vocals to be where vocals should be, not overly pronounced or forward. The mids on the Savant are amazing. They are so addictive. I found guitars, acoustic in particular to sound absolutely amazing. Given a large portion of my music is unplugged, this is where I fell in love with the Savant. Somewhere between the mids and highs there is a bit of a rise I believe at around the 4khz region (but don’t quote me, I don’t have golden ears) that I think both contributes to some of the magic to the Savants tuning, but I also found this to be the only reason I would not rush out and buy a pair. I listen to a large variety of music and while I found this tuning to sound nothing less than amazing with acoustic rock, modern pop, orchestral music, pretty much everything. Except metal. Metal made me want to cry. Its hard to look tough wearing a Cannibal Corpse T-Shirt, listening to music at StarBucks crying into my Frappe. The thing is, I thought I would be clever and use some EQ and tame that slightly, sounded great with the heavier genres, but lost its magic for the rest of my listening. However given they sound amazing with 70% of my listening, I am willing to write a leave pass. Shozy Alien + Savant: Wow… Just wow…. I found this to be the most amazing combination for Acoustic rock, Jazz etc. They Alien’s sound signature really plays to the tuning of the Savant in that it accentuates the Savants magic. HOWEVER this is both the magic and achilles heel of this combination. While I have seldom heard something so euphoric as Clapton Unplugged – My Fathers eyes or even Nirvana Unplugged – Polly, by the same token, I have seldom wanted to rip an iem out of my ears as quickly when Ashes of the Wake come on my random playlist. I definitely recommend at least trying this combination if you can, however I cannot recommend it as an all-Rounder. Soundstage, instrument separation and emotion are all there in spades however, so if you like your balads, acoustic or otherwise polite music, as Kamahl would say… Do try it. Mojo + Savant: Where do I start. The mojo is exactly the kind of source you want for something like the Savant. Much like I enjoyed the Mojo with various Grado headphones, it is just mellow enough without sacrificing transparency to make the Savant sing. While the smooth mojo does not tame the Savants peak (for me) it does not accentuate it. 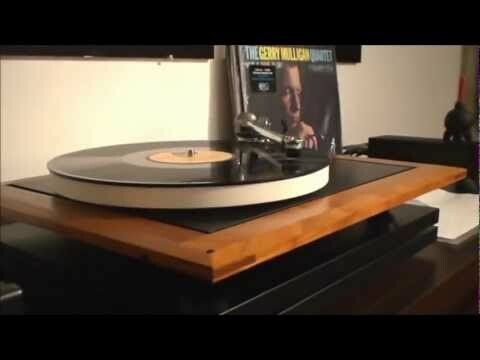 The Savant and Mojo give a truly what I associate with a HiFi sound. I must clarify when I say HiFi I am thinking a natural sound, a sound I would associate with a pair of stereo speakers, the stereo speakers I grew up with. Many IEMs go for uber detail, micro detail at the expense of a lack of natural sound. With the Mojo, the Savant just sounds right. Everything sounds natural. As it should be. Soundstage and air is probably a little more intimate than the Alien, however not in a bad way. Everything is still well in its place, the pluck of guitar strings, the lips of the singer pursing, its all there, but not glaringly so. In Closing, the Savant is an amazing feat of engineering. With its 2 driver (shhhh) design and what I would consider great value in its price range, it’s a no brainer for those out there looking for a new, detailed but musical IEM to get lost in music with. 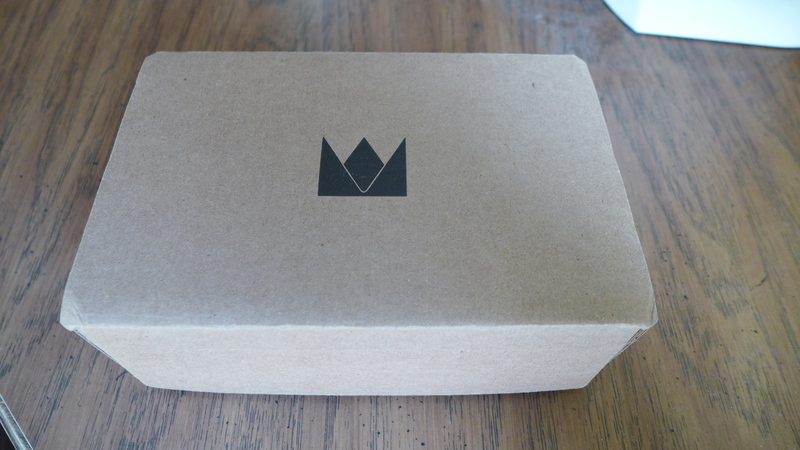 The Savant is a fantastic choice…. Provided you are not a basshead. I am a basshead. HOWEVER, I am also open minded and I am currently saving my pennies to buy myself a pair. I have never been a believer of single role headphone/iems. I have always opted for the allrounder, and for many the Savant my be that allrounder. For me it is just SO GOOD at acoustic music that I feel I need it in my collection. I have heard many iems that have better extension, more balanced bass response, more detail. However none of them can do what the Savant can do. With the Savant on my very first listen within 10 seconds of “No Excuses” my eyes were closed and my eyes were tapping. Something I didn’t get from the Angie, Layla, Roxanne, RE1000 etc etc and for me that’s what music is about. I will return after my commute to format this review as it looks horrendous however it was written in Word and it appears to have taken all formatting queues from notepad. d marc0, avitron142, dulty and 1 other person like this. Thanks for sharing your honest opinion on the Savant. I really like how you expressed it like a story. Well done mate! Nice review! I'm glad about that Alien pairing - I'm going to try that out myself once I get eartips that don't fall out of my ears tomorrow (you're not the only one), but I was so impressed with the Savant/Aune M2 pairing that I was afraid that the Alien wouldn't sound as good. Guess I was wrong, I'll have to see it for myself later. My ears need kinda softer tips, and the silicone ones provided with the Savant are pretty stiff - it's great in terms of quality, but my ears need something else (foam doesn't do it for me either, guess my ears are picky). Gotta compare these to the Titan 3, those are a vocal lover's dream too, interesting to see how they'll match up. Take care! 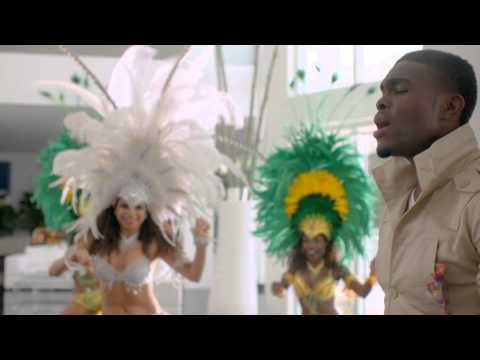 Cons - EXPENSIVE(!) .Ergonimics/fit/isolation. no cable mic/remote. Best sub bass/bass performance needs EQ but I don't mind. I'd like to thank d marc0 and Noble for sending the unit around . Despite my gripes with the pricing and fit and lack of remote, I definitely can't deny I liked the tuning . Very very impressive u shapedish iem. I wouldn't call them neutral but they are balanced in the sense that there are no usual offensive mid bass, or 5 or 7 or 8-10k peaks. I usually look for a sweet enough but still crisp and detailed mids, prominent but crisp bass and sub-bass, no mid bass bloat and extended but not sharp highs and that's what it is... so to me it is balanced. dim but for those of us that are sensitive to sharp treble peaks - they're just right. The bass(uneqed) with proper seal makes me smile even after h300 /a350. e) dislike the cable (like the small plug, dislike the short memory wire). no included shirt clip :/? but on the other hand you can also get a hybrid like FLC8 or Altone A350 and be equaly content with a slightly different sound sig for about 1/2 the price. H20Fidelity and d marc0 like this. ps I do hope Noble will offer more universal mold choices in the future. Have you tried wearing them up? I've owned the Stagediver 2 for a while now. There are so many things to like about these dual BA IEMs... just to mention a few, I really like the shape of the housings. They fit perfectly on my ears and the extended nozzles promote a perfect seal with deeper than your usual universal IEM insertion regardless of the type of ear tips. Isolation is excellent... better than any other universal IEMs I've tried. 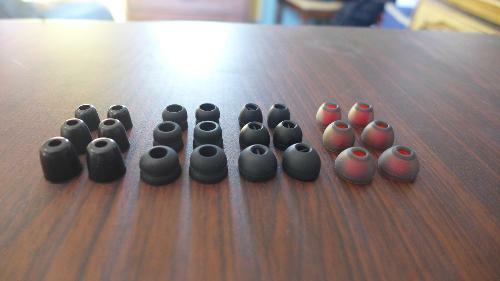 Next is the comfort, these basically disappear on my ears after extended listening (YMMV there are reports that some users experienced discomfort). 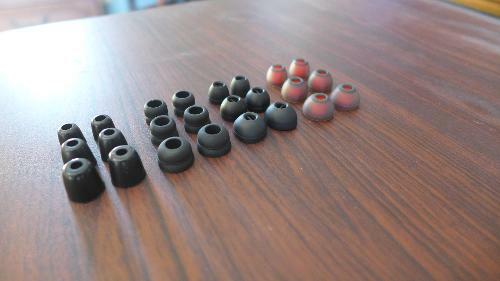 As for the sound, it's neutral presentation with a bit of warmth and excellent extension on both ends of the frequency make these IEMs an excellent contender in its category. So basically, the Stagediver 2 is one of my all-time favourite IEMs. 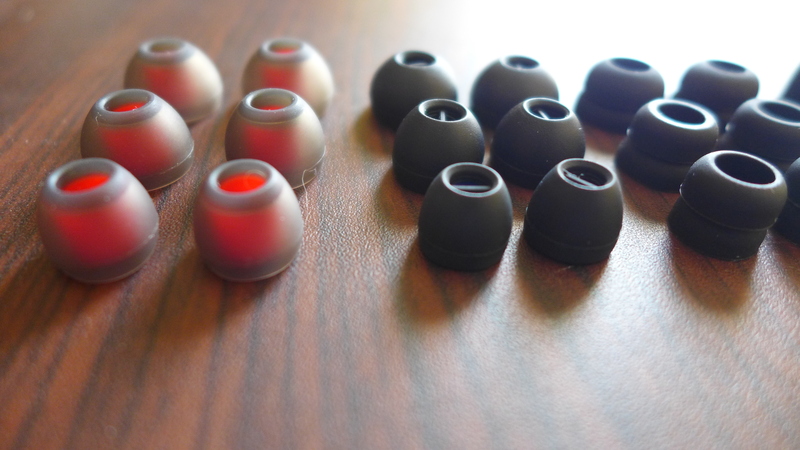 Noble's universal IEMs are quite tiny in comparison to other multi-driver IEMs in the market. I've always had a good fit and comfort with these including the Noble 4 and PR which are basically the same in shape and size despite the differences in driver count. The only challenge I encountered was achieving a deeper insertion to achieve the best seal and sound. Fortunately, Meelec M9 double-flange tips did it for me. Not the most comfortable, but the best sound performance out of the Savant. 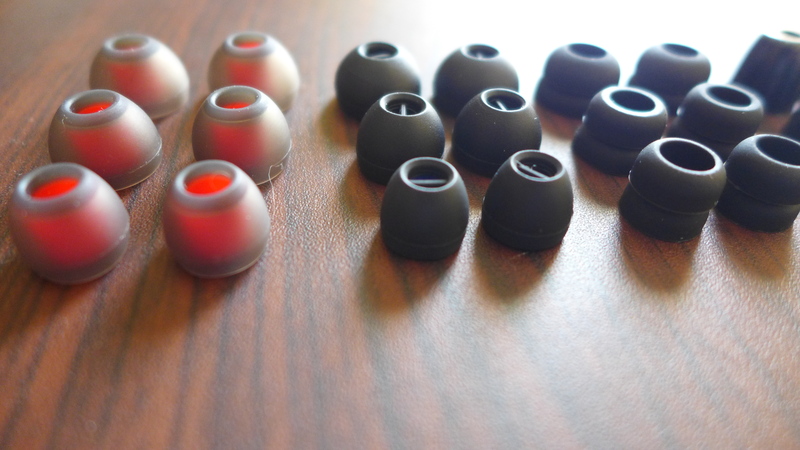 If comfort is a priority, the JVC Spiral Dot ear tips are great but affects bass extension slightly. Isolation is excellent on these and is almost on par with the SD2. 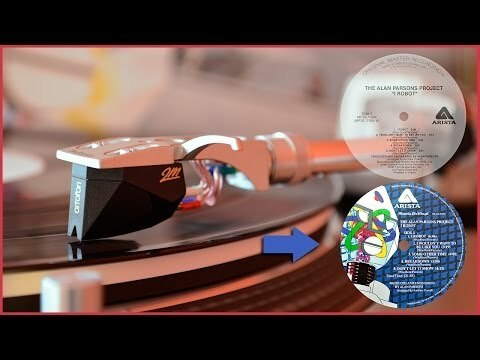 I've decided to use POP music as test tracks in this comparison as they are more accessible for everyone. Right off the bat, there's a noticeable difference in bass decay between the SD2 and Savant. The SD2's decay lingers a little bit longer revealing a slower bass speed in comparison to the Savant's more prompt bass slams. The Savant sounds cleaner with better texture and detail than the SD2 which is no slouch in these categories. As a matter of fact, I find the SD2's bass to sound really natural which is impressive considering it has a balanced armature driver. Layering is excellent on both IEMs; but bass lines are more articulate on the Savant although the SD2 in not far behind. Timbre is equally excellent with the SD2 just sounding a bit thicker in comparison. Finding that the Savant provides a considerable improvement over the SD2 is quite surprising if you consider the difference in bass quantity which will be discussed next. The bass levels are quite different between the two; with the SD2 leaning closely to neutral and slightly warm in presentation. The Savant has noticeably more bass quantity in sub-bass and even more so in the mid-bass. 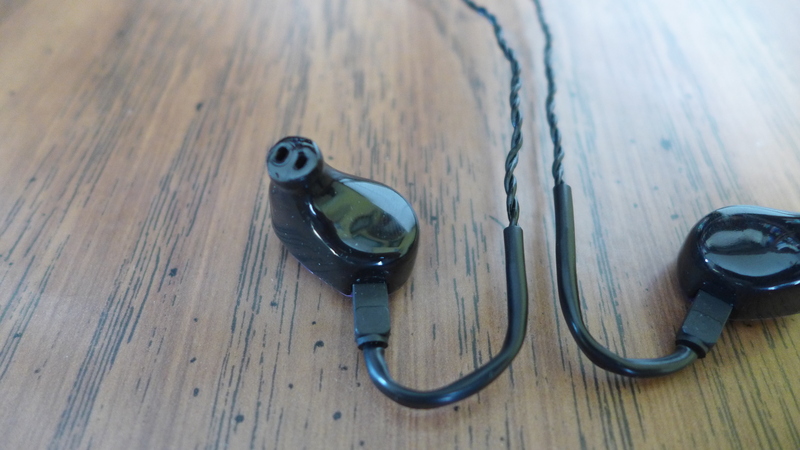 The SD2 extends really well into the sub-bass region which is impressive for a neutral sounding IEM. The Savant in comparison has a little bit more rumble and is quite apparent in this test track. Bass punch/slam is also more visceral on the Savant due to the mid-bass boost. Fortunately, bass control is kept on check negating any distortion or muddiness. NOTE: Insertion depth and seal are crucial in keeping the bass extension on the Savant. I highly recommend wide bored double-flange tips; not the most comfortable but the sound more than makes up for it. I could just imagine how good the CIEM version sounds. Despite having more bass quantity, the Savant doesn't sound warmer in overall presentation. This is because of the upper midrange and lower treble presence. Both IEMs sound quite similar in the lower octaves of vocal presentation. 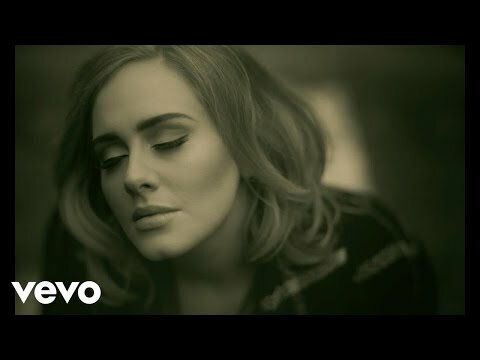 Adele's voice sounds very natural for both IEMs in the opening verses. The difference only start as the vocals go to the higher octaves with the SD2 just sounding a little bit distant during chorus. Although the SD2 remains neutral in the lower mids, the slight distant upper midrange sets it apart from the sweet upper midrange of the Savant. As a result, the Savant seemed more mid-centric and detailed in comparison to the SD2. This is an excellent track to test upper midrange and lower treble energy. The Savant is more present in the chorus thanks to its more forward upper mids. Again with the SD2, Sia's voice at the chorus sounds distant and less engaging in comparison. The rawness in Sia's distinct voice is also quite lost because of the lack of energy in the lower treble. 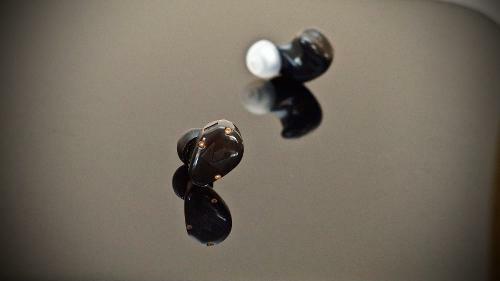 The Savant on the other hand, while also smooth retains enough treble energy for a more sufficient clarity and detail. This makes the Savant more engaging without the disadvantage of sibilance. 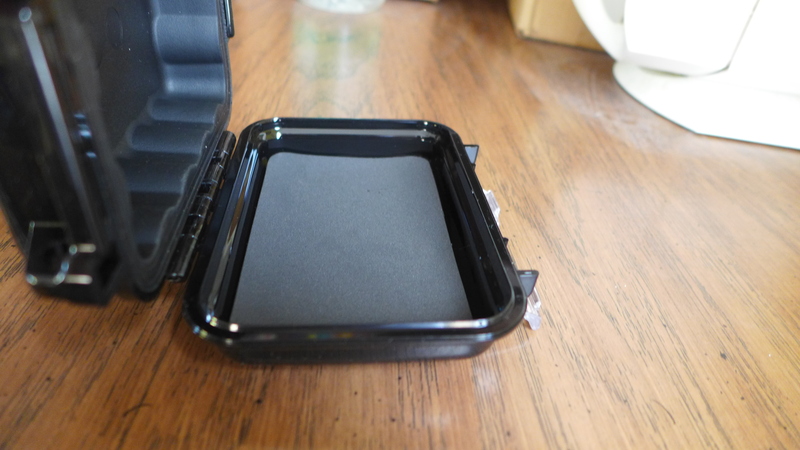 I personally find the SD2 just a bit too smooth which is not necessarily a bad thing. The smoother presentation of the SD2 benefits those who prefer to listen at louder than the average listening volume. 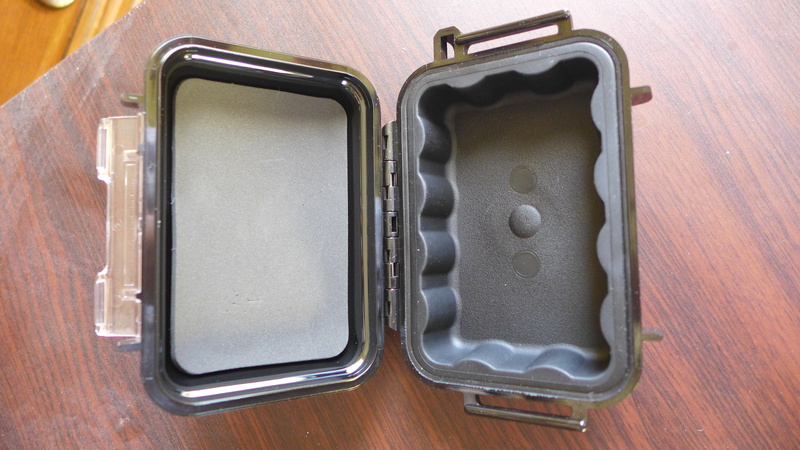 Quite beneficial in noisy environments where higher volume is needed to compensate for the loss of bass sensation. The SD2 has a smooth treble with enough detail/resolution. Treble extension is excellent and is probably one of the best I've heard in IEMs. 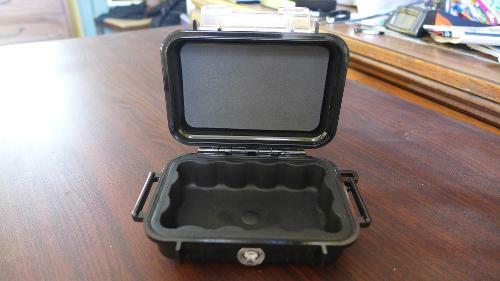 The Savant is also smooth in it's treble presentation but has more energy in comparison. I find the Savant to sound more natural especially when comparing the timbre in cymbals. Detail/resolution is also a bit more articulate on the Savant making it the more transparent or revealing IEM between the two. Harsh recordings are more apparent in the Savant so it's more analytical overall. 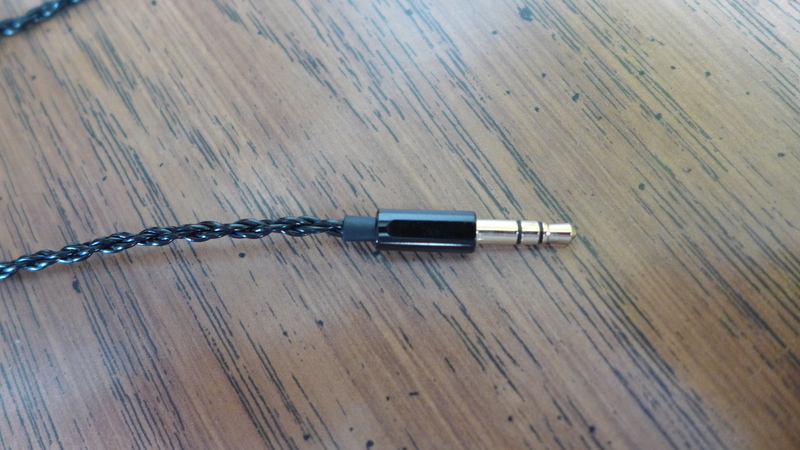 Treble extension is not as good as the SD2 but still maintains enough airiness. Sibilance is never an issue for both these IEMs but more so on the SD2 even if you're listening to a badly mastered track. One thing I found better on the Savant is refinement. The SD2 sounds less refined in projecting micro details so any nuances in a track are better presented on the Savant. I also find the SD2 to be grainy sounding at times which can distract you from having a euphonic experience. At times I hear crackle and pops akin to vinyl records which gives the SD2 its own character. 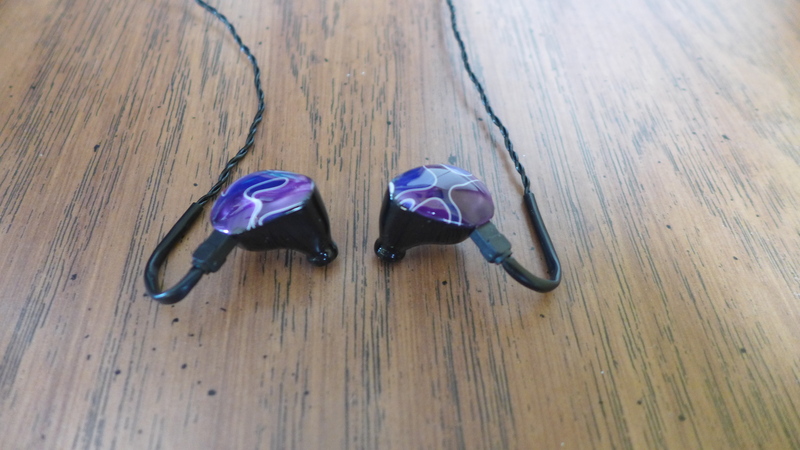 Although presentation is above average in size for both IEMs, they do it quite differently. The SD2 has a wider soundstage with good depth and average height. The focus is more from left to right in stereo imaging. Savant on the other hand has better depth and height. While the SD2 is impressive as it is, I find the Savant to have better accuracy in its imaging thus sounding more cohesive or 3D in its presentation. 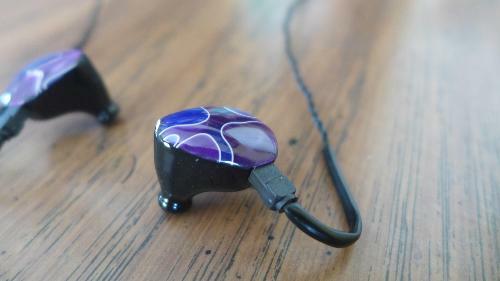 Sound signature is also different between these IEMs. The SD2 sounds neutral but warmer overall because of the polite upper mids and smooth treble. The Savant has slightly boosted bass with sweet mids and slightly smooth lower treble without compromising clarity/detail, thanks to sufficient treble energy to complement the bass. The Savant's balanced sound signature is quite versatile in that most genres can sound great as long as the production is decent. But like any other IEMs out there, (except maybe the K10?) 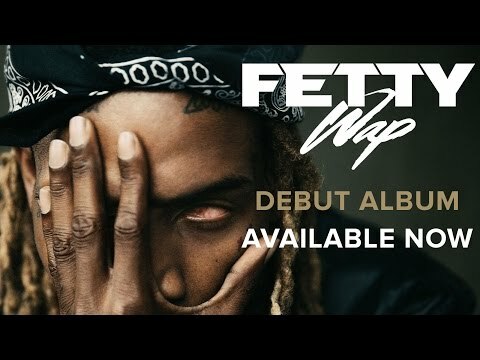 the Savant has its limits and Fetty Wap's Again demonstrates this. The track's bass mix is overly boosted that it sounds distorted even on a full sized headphone like the Philips Fidelio X2 or OPPO PM3. I find that the Savant sounds best with fast decaying bass slams more common in Trance, Electronic, and Dance music. 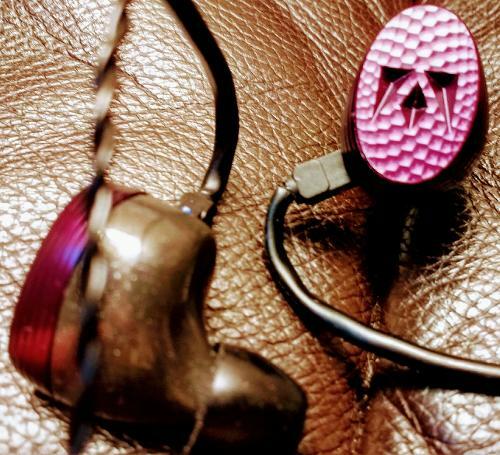 I'd like to reiterate Noble Audio's description of the Savant: "Perhaps the most subjectively balanced in-ear monitor Dr. John has designed thus far, Savant is a detail-oriented IEM with a solid low-end and clean highs. Savant is an expert at playing a large variety of genres well, making it a versatile addition to any collection or standalone piece." Doing this comparison not only showed how the Savant can outperform an excellent IEM such as the Stagediver 2 but also convinced me how accurate the manufacturer's description is. 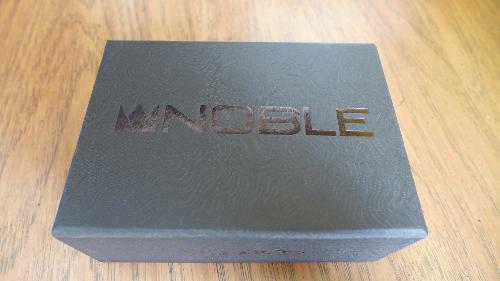 Noble has once again impressed me with their masterful tuning and I hope they continue to bring forth ear pleasing products that many will enjoy. Special thanks to @FullCircIe and @bangkokkid for providing this review sample. White Lotus, palermo and H20Fidelity like this. Transparent in nature yet musically engaging. Pros - Balanced sound, fast transient leading edge/attack, and holographic mid-range. Cons - Sometimes unforgiving of poor recordings and has a subtle roll-off of the lower most sub-bass frequencies. First a little about me….I am a 33 year old male who began his audiophile journey in search of musical bliss in 2013. My first rig, after much research here on Head-Fi, comprised of a V-Moda Crossfade M100 (a vented but closed back headphone) mated to an Ipod Classic 5.5 Gen. powered by a JDS Labs C5, which was connected to an AudioMinor solid silver Ipod line out cable. This audiophile rig produced a very ear opening sound for me. At the time, I craved a sure-footed and ever-present bass presence in most of the music I listened to---such as is heard with EDM/Electronica music genres. Eventually, I wanted to further explore this new musical experience and ended up purchasing the AKG K702 65th Anniversary Edition, my first open back headphones along with a CEntrance HiFiM8 XL4 (w/”i.e.m. mod.”). It seemed as if I discovered a whole other dimension of musical bliss from what sounded like an amazing 2 channel speaker system, not headphones! Since then I have come to appreciate a more neutral veering towards musical sound from my audio chain; I find this type of presentation more suited to a wider scope of music genres. Having been able to play the Violin for one year followed by the Trumpet throughout middle school and high school, I tend to look for correct instrumental/acoustic tonality. I also find that I listen to a lot of Singer/Songwriter, Jazz, and Classical genres because of said background. 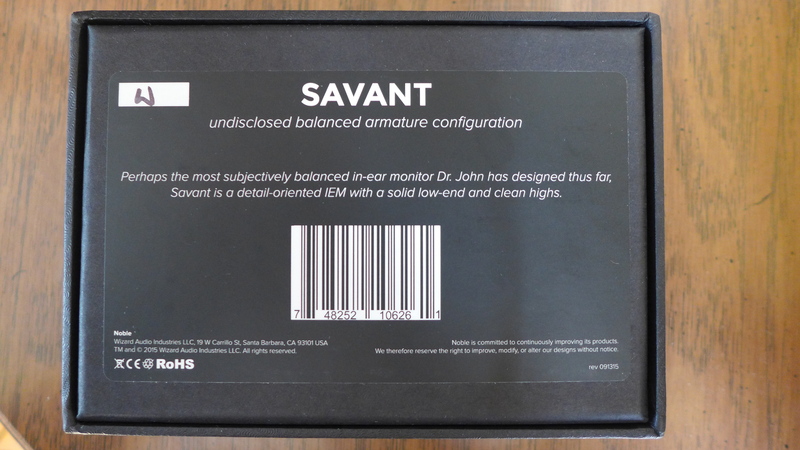 The sound signature of the Savant initially struck me as being that of a bright and mid-centric in ear monitor (i.e.m.) but without any treble peaks or unwarranted sibilance. Let me say that in order to extract all that the Savant has to offer, it is imperative that one finds the proper fitting ear tips in order to allow for a secure seal as this greatly affects the bass and treble presentation in my opinion. It was only after acquiring a perfect seal (after much tip rolling) and allowing for sufficient brain and mechanical burn-in, that my impressions changed pretty significantly. I also spent a lot of time using different sources, digital to audio converters (dac’s), and headphone amplifiers. I find the timbre and tonality to be quite correct. Tonal quality is the first thing I look for in order to decipher whether or not I will do more critical listening during an audition so lets delve into how the Savant’s tonal quality sounds to my ears. To my delight, I find the tonal quality and timbre to be cohesive, expressive, and fast. I would also say accurate but with one caveat; I find there to be a sub-bass roll off in the lower most portions of this region beginning around 45 hertz. The Savant tracks the audio signal with a fast leading edge though simultaneously allowing for appropriate decay within well-recorded musical canvases. This feat is accomplished without any hint of a heightened treble response. The ability to bring seemingly dormant details to light without any treble glare and in a linear fashion through the whole frequency spectrum I think is the hallmark of the Savant. This stunning quality is experienced from the uppermost treble region through the glorious mid-range and land at the doorsteps of the sub-bass frequencies. I find the bass region of the Savant rests on the lean side of neutral. 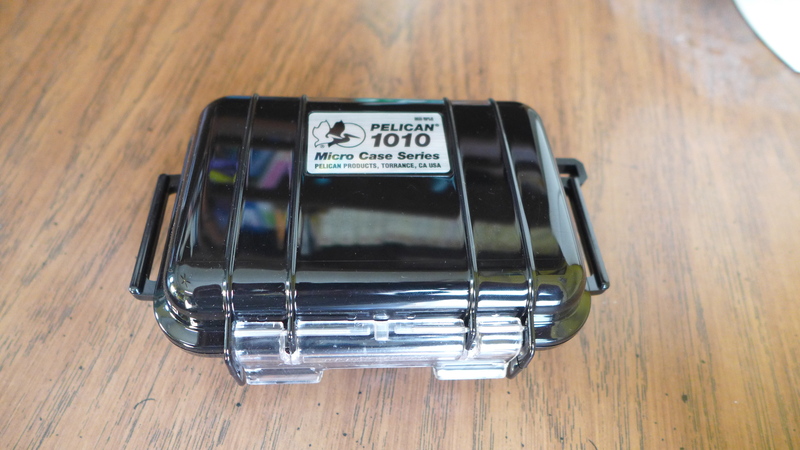 It is quick, impactful, and gels well with the mid-range as there is no mid-bass hump. Additionally, there is not a single moment that I feel the bass ever overreaches or encroaches upon the mid-range. I also find the bass to be linear in presentation down to the low Sub-Bass region but not to the lower most sub-bass region, lets, say below 40-45 hertz. I used the album titled (sampled at 24Bits/192Kilohertz) The Ultimate Headphone Demonstration Disc by Dr. David Chesky, Track number 53 named ‘Heart Beat Tracks.’ In this track Dr. Chesky records pulses beginning at 50 hertz and drops down to 20 hertz in 10 hertz increments. 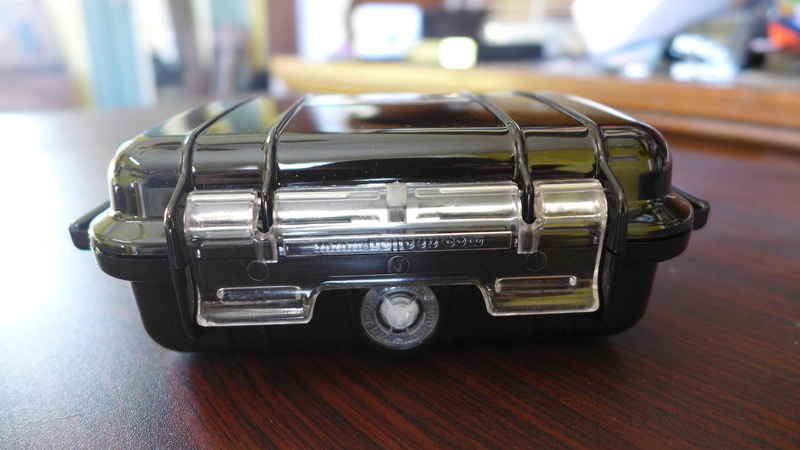 It is between 50 and 40 hertz that I begin to notice a roll off. With that being said, I find the Savant accurately portrays the Tympani, Cello, Kick Drum, and Bass guitar. This was important to me being that I feel these instruments anchor a lot of the music I listen to. 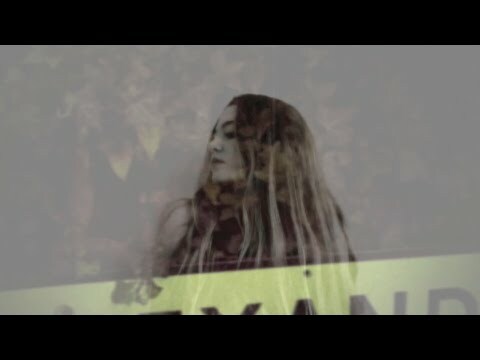 I find that with certain EDM, Electronica, R&B, Pop, and Rap genres that have some passages that drop below 60 hertz, the Savant plays them well albeit with some perceived reservation. Anything else though sounds quite accurate and satisfying. The timing and decay of the bass is convincing and just gives more and more the better the recording is. I also find that the Savant fleshes out the bass response with quality amplification and can be telling of what your audio chain has to offer. With my Astell & Kern AK120 Titan I found the bass to be delicate and extended but with the Peach Tree Dac iT-x paired to the Schiit Asgard 2, the Savant’s bass presented with more gestalt (this was a hugely satisfying experience). The mid-range to me is the music alpha so to speak. Everything music begins its life in the mid-range no matter what music genre. For this reason, having the mid-range be correct is extremely important to me. The mids are perfectly portrayed here with the Savant. They are neither too forward nor recessed either. Although there is clear separation within instrumentals as well as vocals, nothing sounds disjointed. The mids are detailed yet fluid, what a feat! Female/male vocals do not carry any sibilance unless you are listening to a track that has been poorly recorded. The Savant rewards you with so much transparency yet does not throw micro-details in your face. I find myself being drawn in and transfixed in a state of musical bliss during listening sessions because I feel like I am being sung to by whichever artist I am compelled to que. 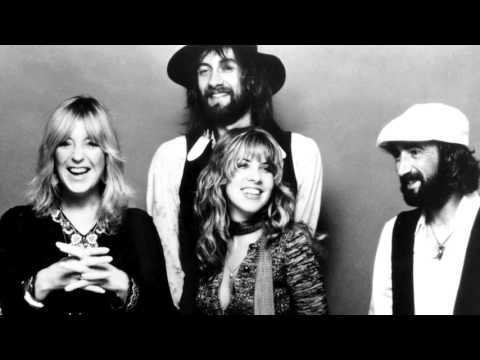 One of the most prominent things about how the vocals are portrayed is the clear dichotomy of the male and female voice when listened to in tandem. 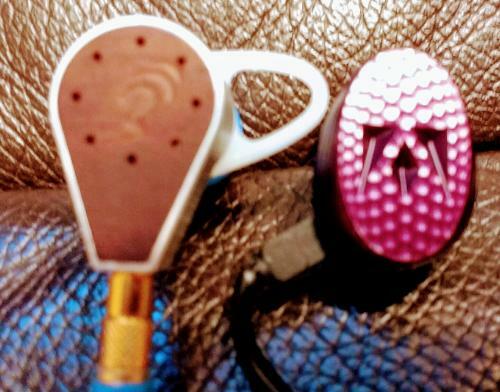 The treble presentation of headphones or earphones has been a learning process for me to fully discern between neutral and elevated or hot/tizzy. This was due to me being a recovering bass head who used to enjoy the “V-type” sound signature. I used to love pounding bass with accentuated treble so when I first listened to the AKG Annies I began to understand what airy non piercing treble sounded like. Compared to the bright treble of the Grado RS1i the AKG’s are currently my reference headphone in this area. So when I first heard the Savants, I was blown away by how natural and correct the treble sounded; it is not supremely extended but is still sustainably airy and intricately detailed. Furthermore, the Savant allows for a holographic presentation while steering clear of any discernable peaks. I enjoy how the Savant allows me to listen critically to my audio chain with such transparency and discernment but it is not done in an ultimately clinical fashion. Cymbals and audience clapping sound uncannily realistic and clear. Reverberation in recordings speaks to the dimensions of the rooms in which they are recorded in while maintaining natural decay. The Savant is very telling of the audio chain it is reproducing music through. Lower bitrate music is very two-dimensional but maintains a wide soundstage while high-resolution recordings sound very intimate and three dimensional or holographic at the same time. The Savant lets me hear the solid bass presentation of my CypherLabs Picollo headphone amplifier and Schiit Asgard 2 headphone amplifier. They also let me hear the extended treble of the Astell & Kern AK120 Titan digital music player compared to my CEntrance HiFiM8 XL4 dac/amp. The Savant does benefit from proper amplification and will let you hear the tweaks made in your audio chain. I do find that my iPhone 6 Plus drives the Savant adequately. It has been very helpful and fun to listen to my gear in different set-ups to better tailor my listening experience with the Savant as the director. 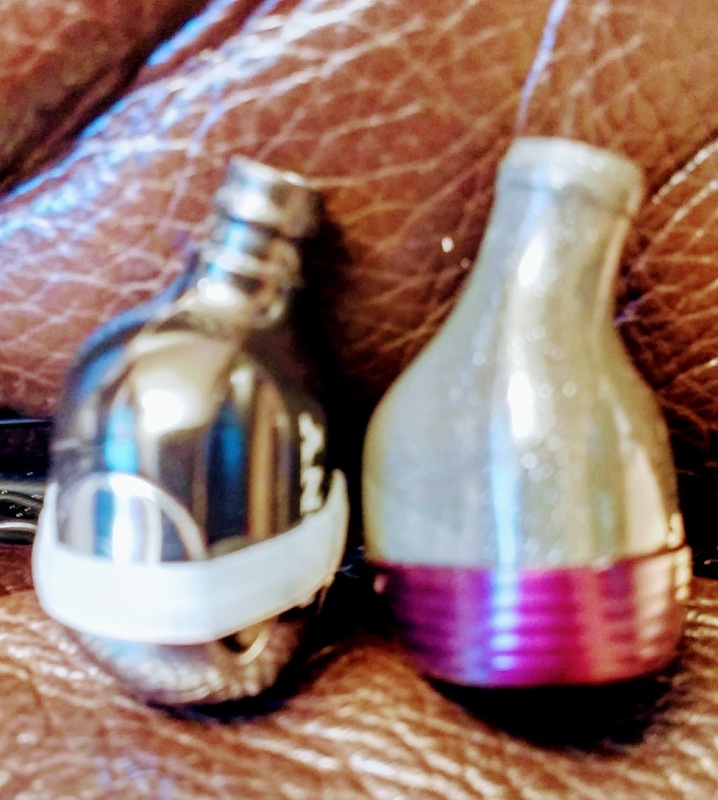 I was lucky enough to get a pair of the Wizard Savants meaning that the top shell of the Savant is an artistic custom creation of the Wizard. The build of the Savant is very sturdy and beautiful to behold in hand. I got the Two-Tone Amboyna Burl Wood finish. 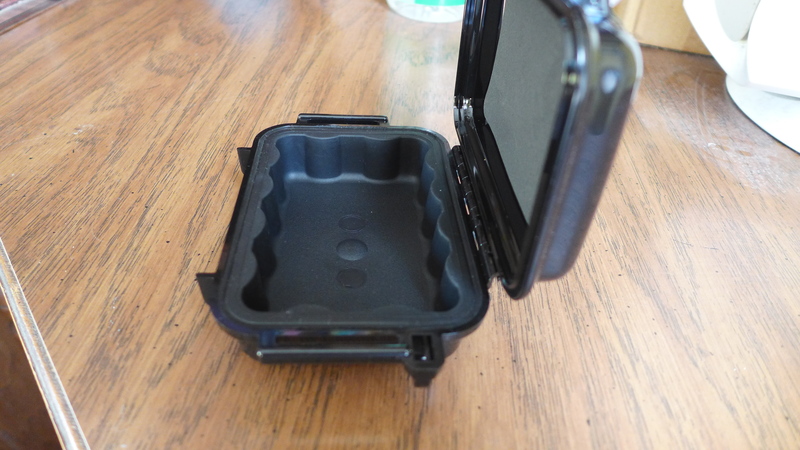 The protective case is definitely adequate and fits my cleaning cloth and cleaning tool all perfectly together. There are more than enough tips to tip roll with the i.e.m.’s to find one that suits your ears too. The cable is nicely executed and is not microphonic in my experience. I should also note that the Noble Audio customer service is prompt, courteous, and generous (in the resolving of a potentially negative experience). 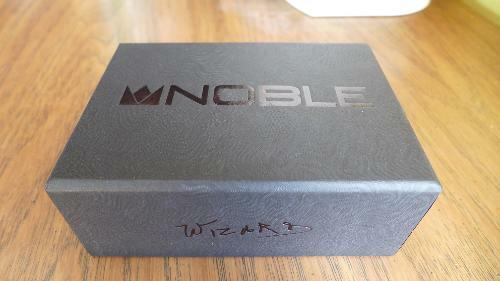 I will definitely be a returning customer of Noble Audio. Tommy C and d marc0 like this.